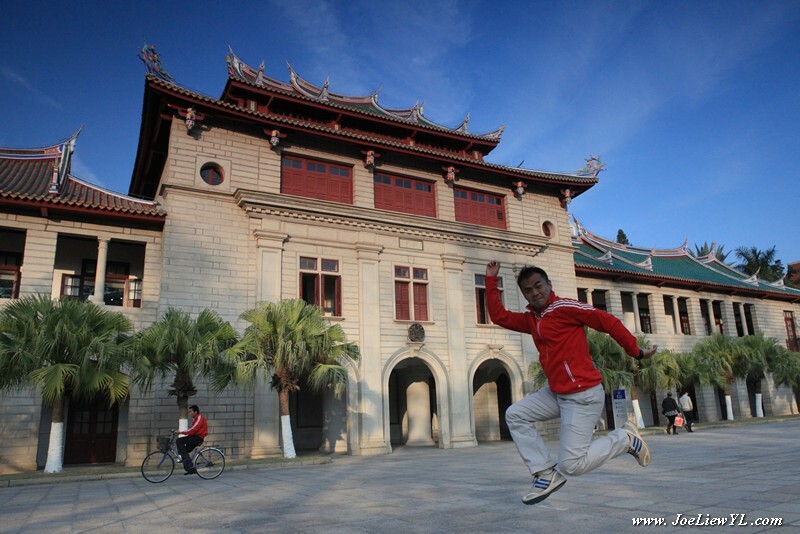 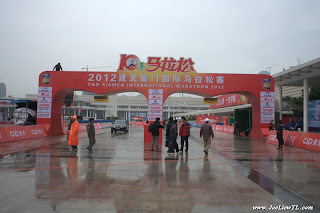 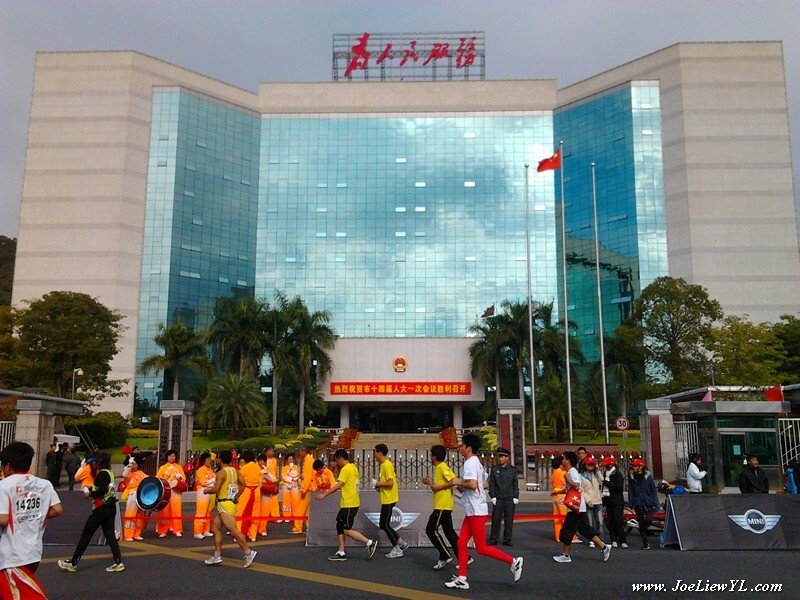 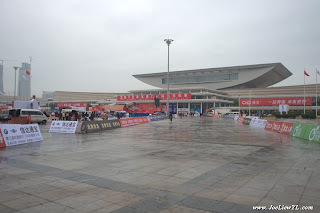 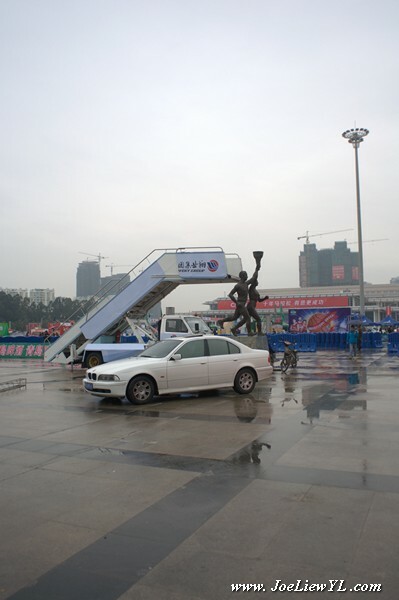 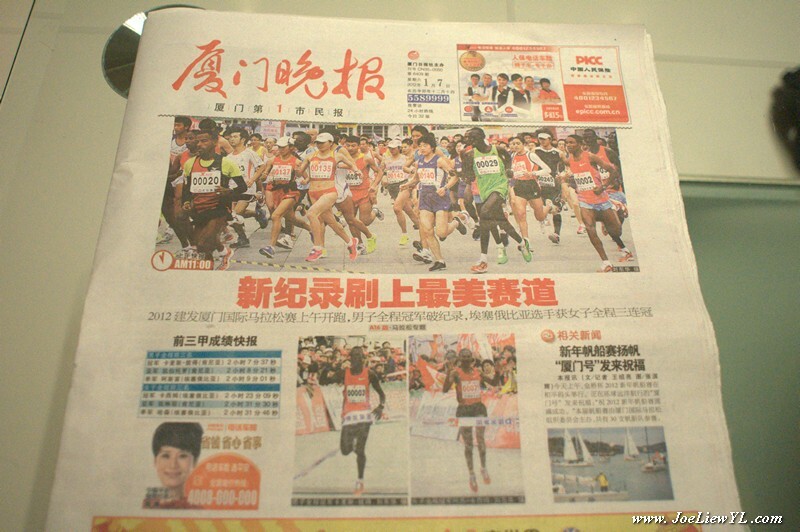 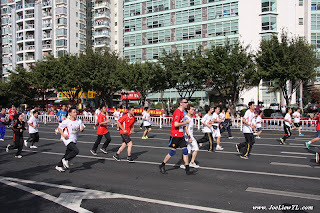 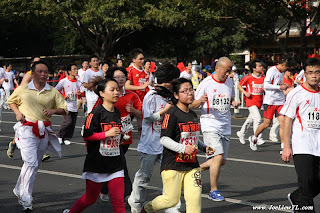 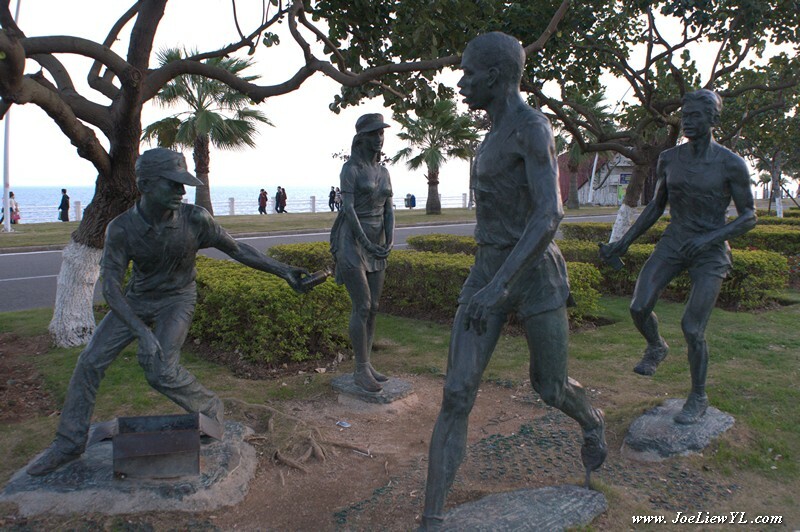 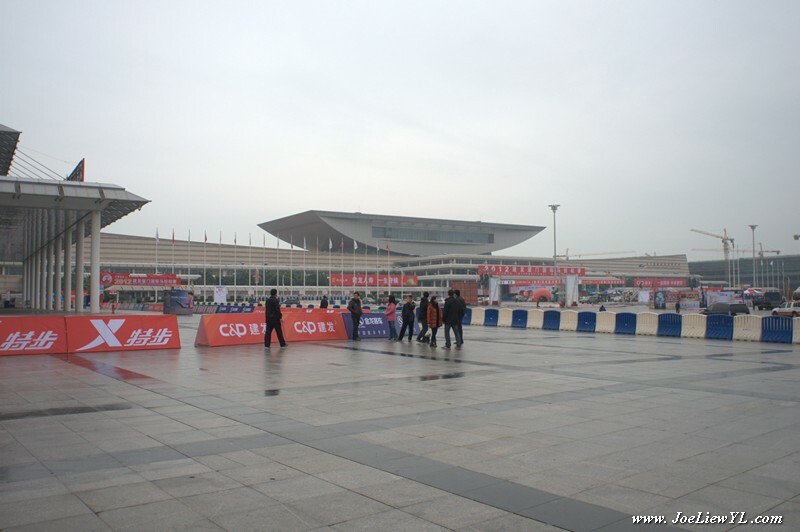 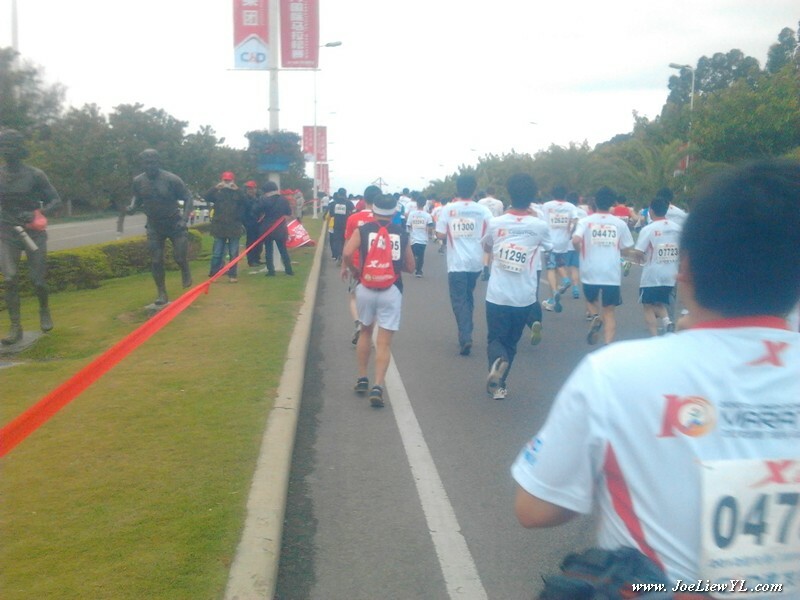 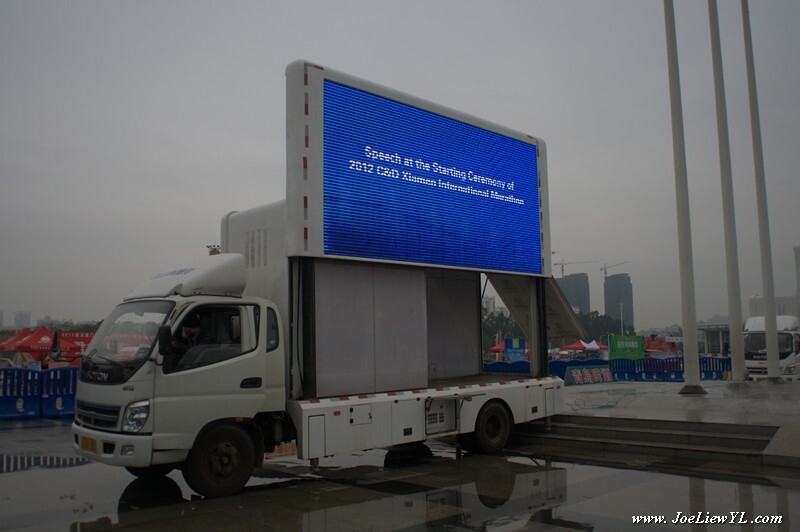 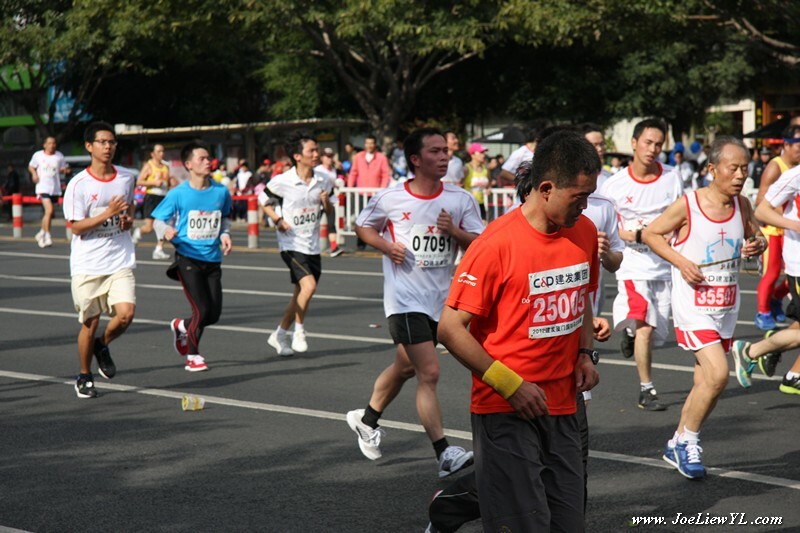 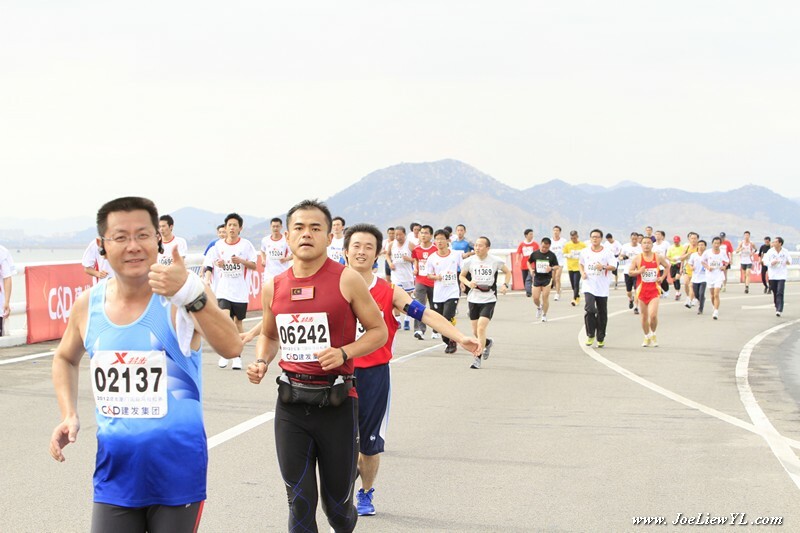 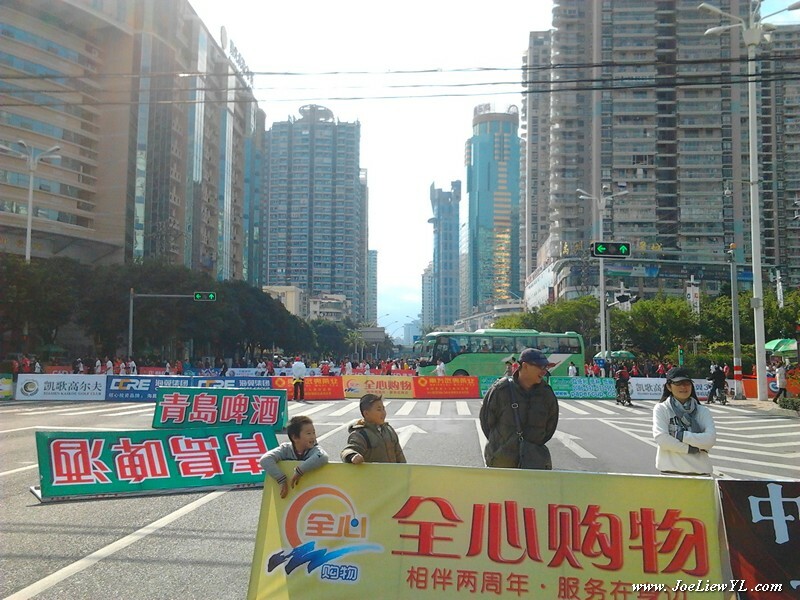 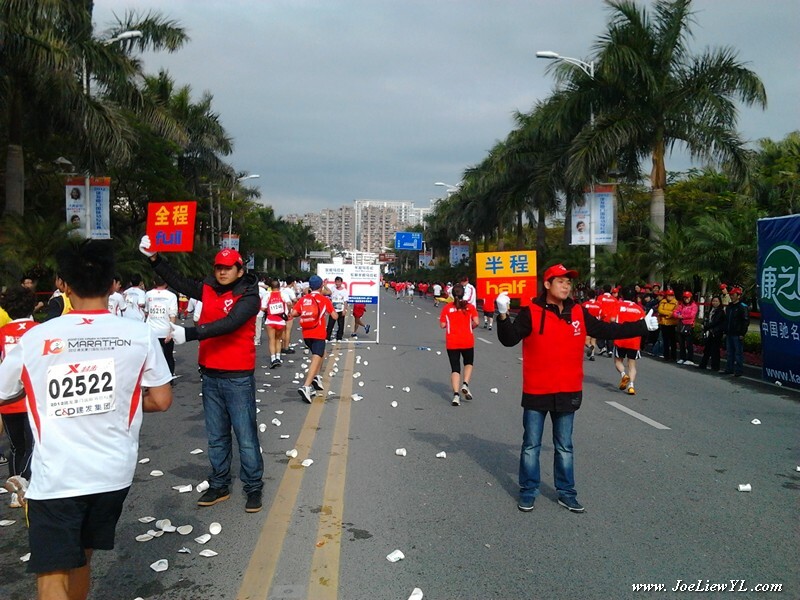 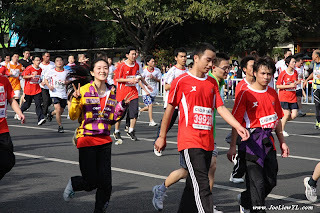 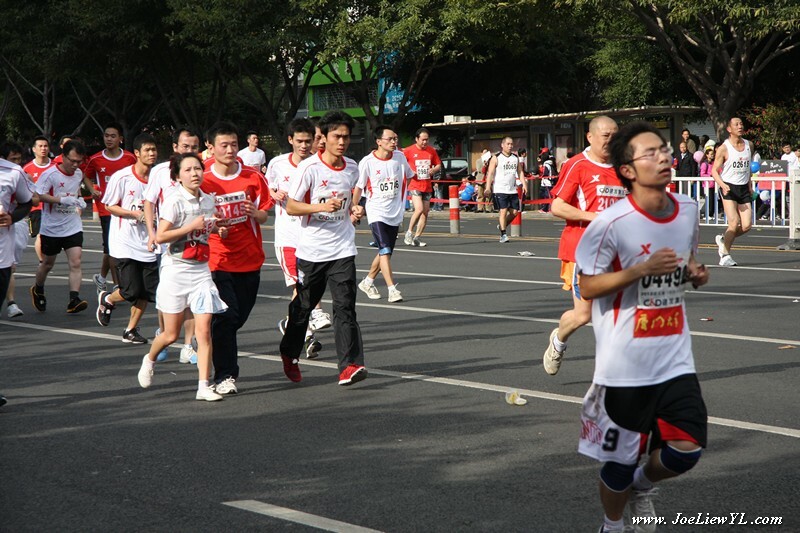 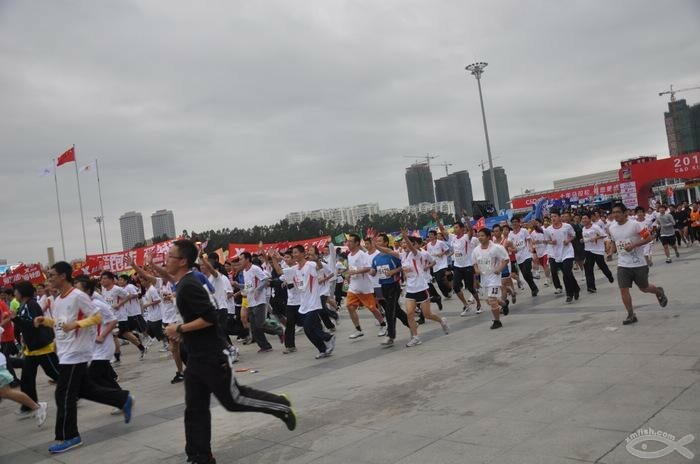 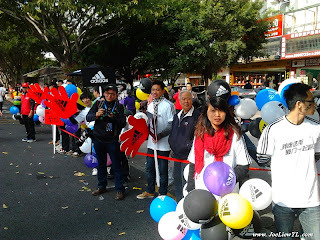 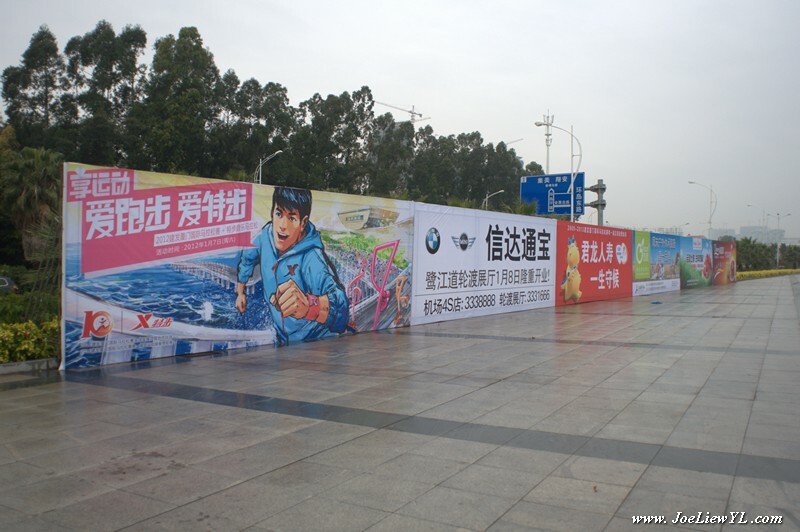 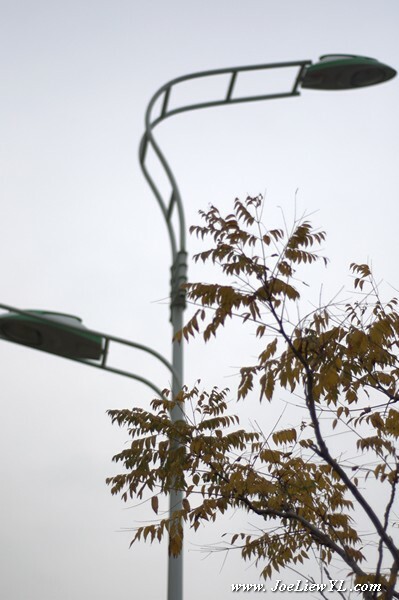 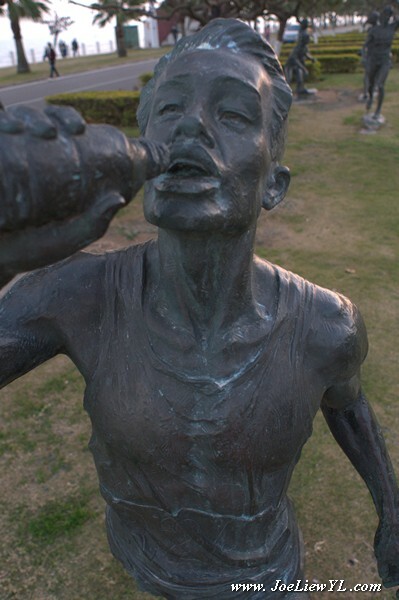 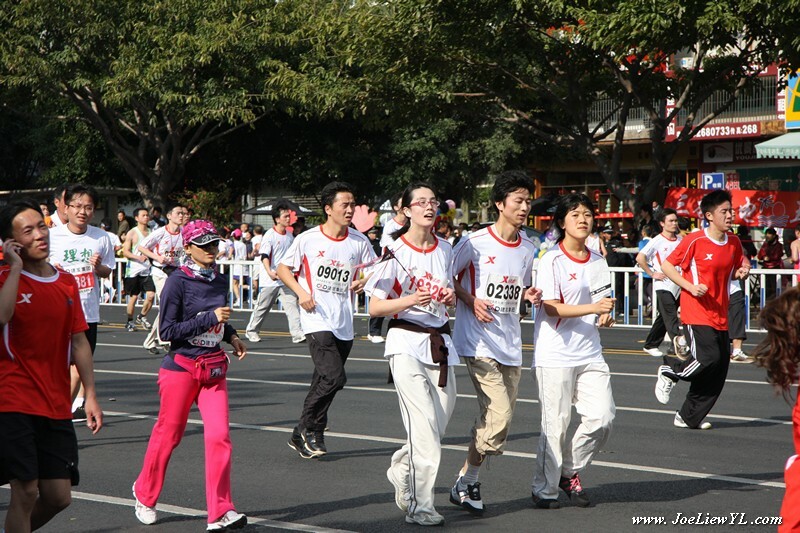 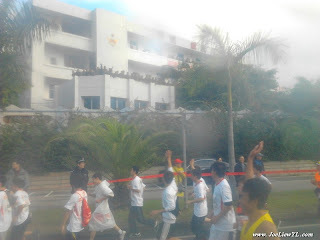 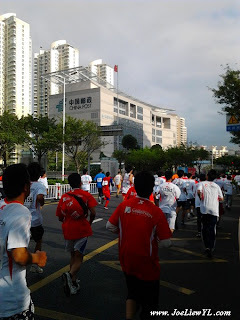 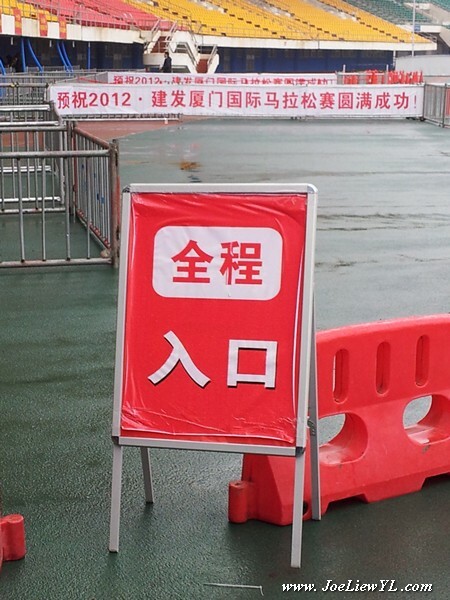 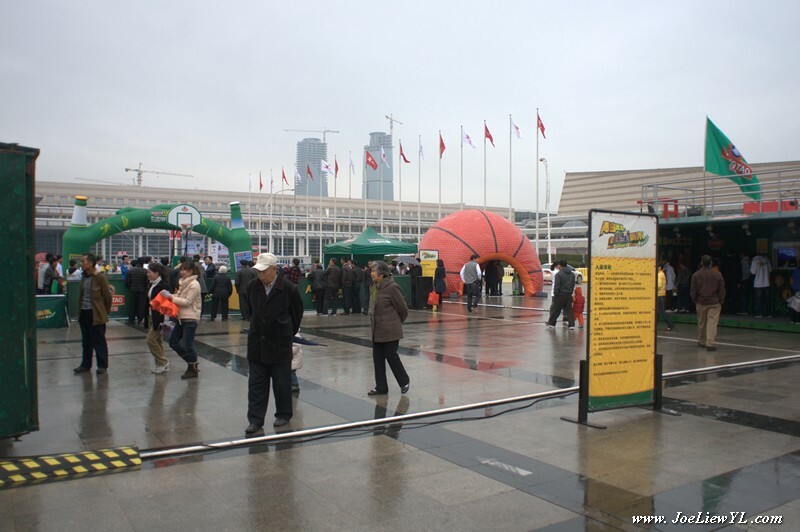 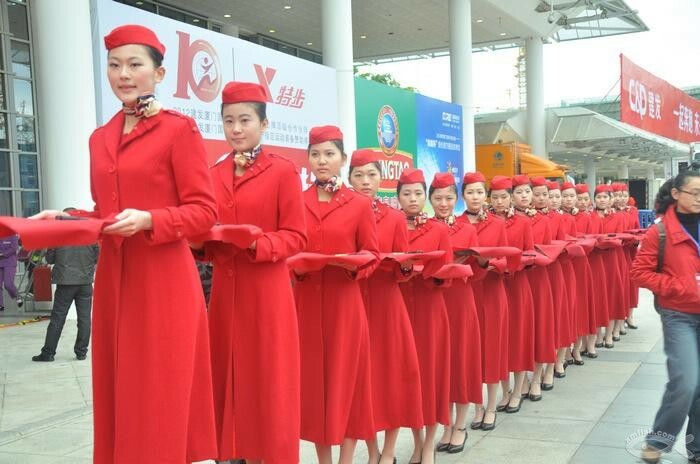 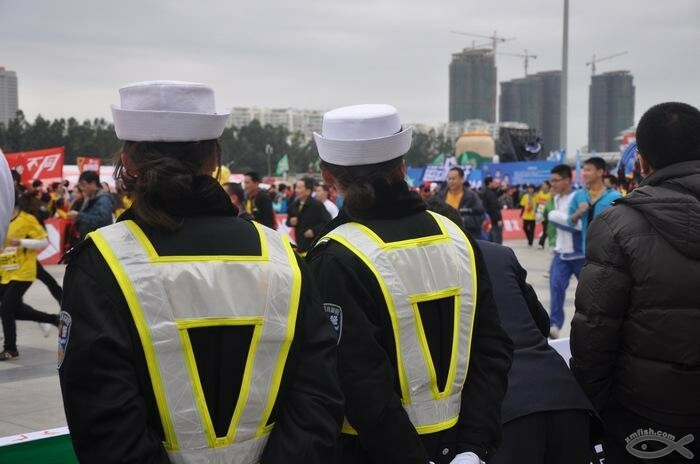 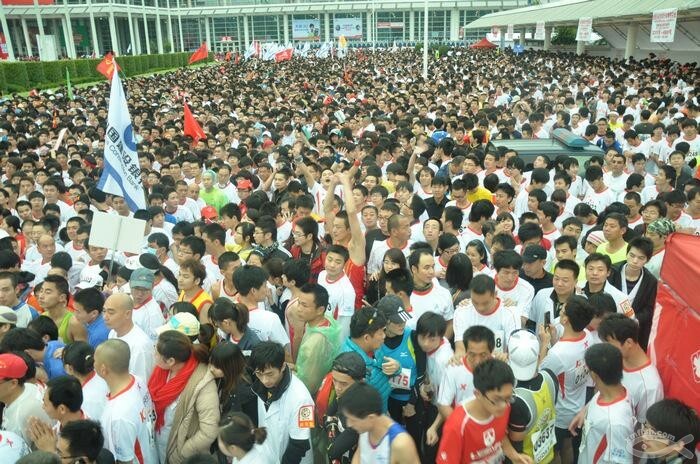 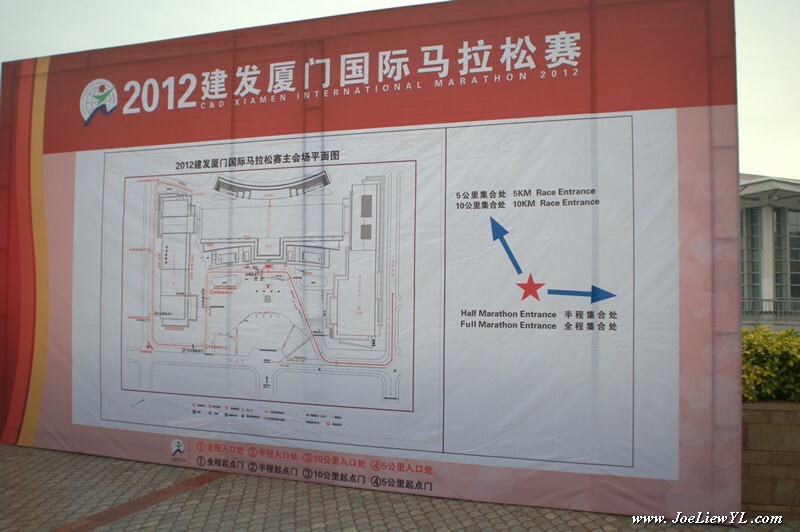 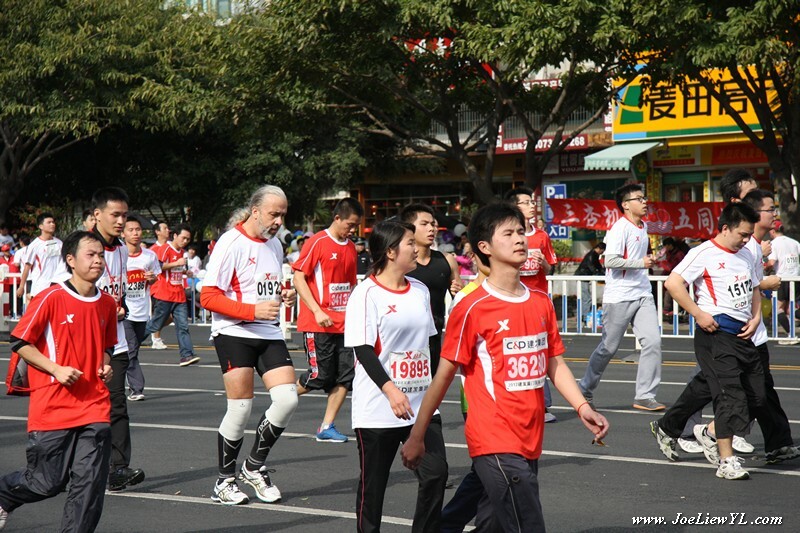 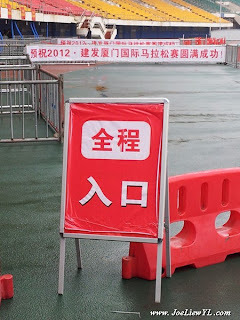 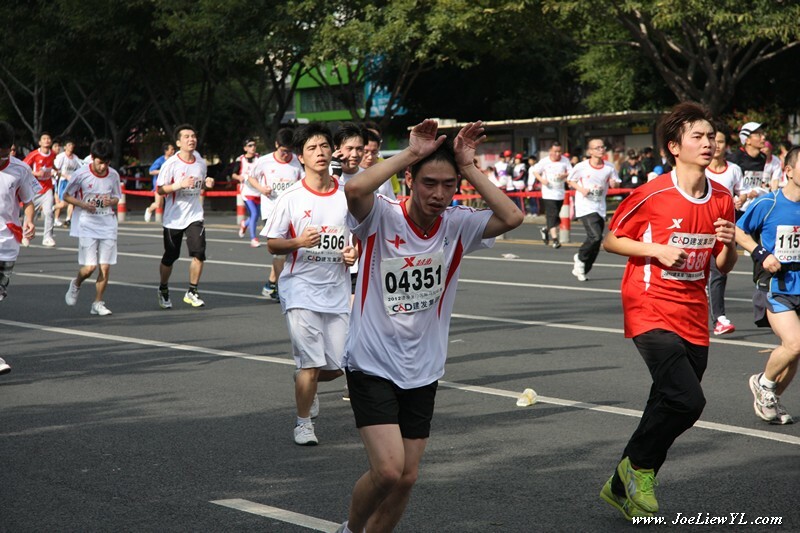 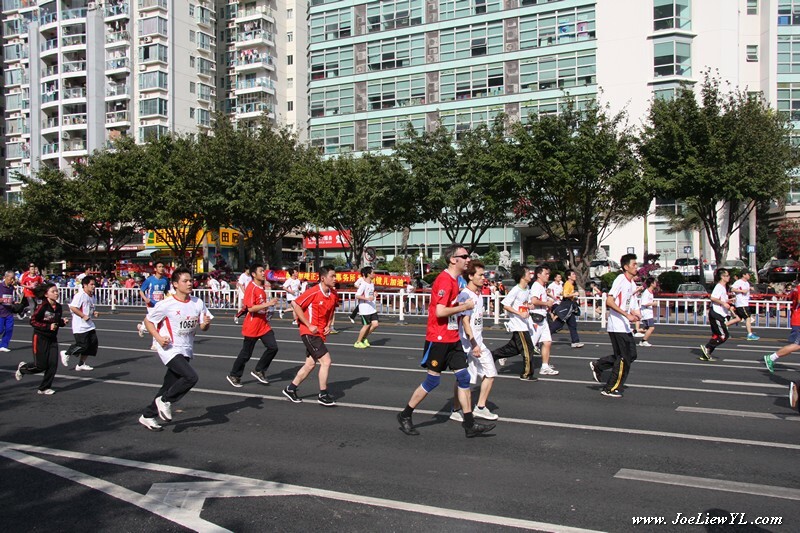 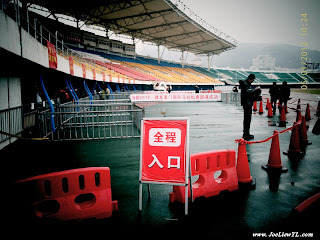 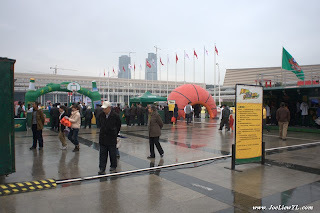 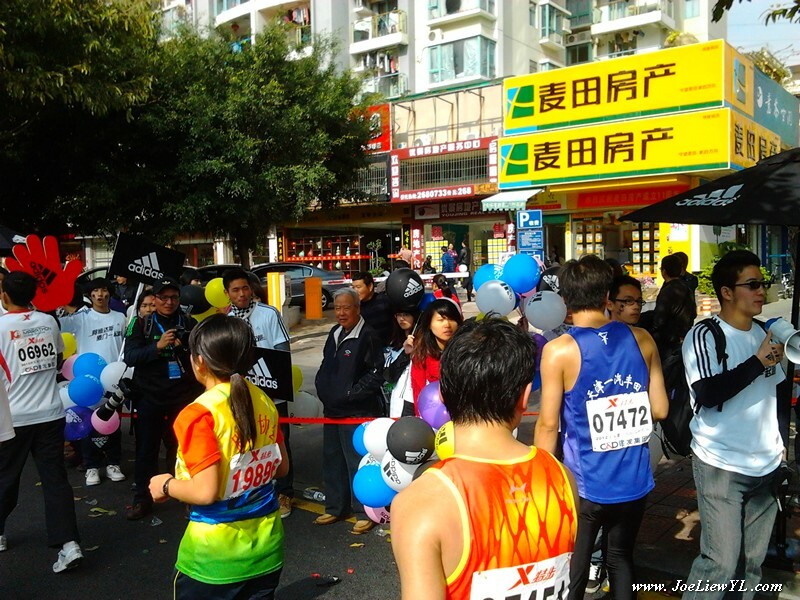 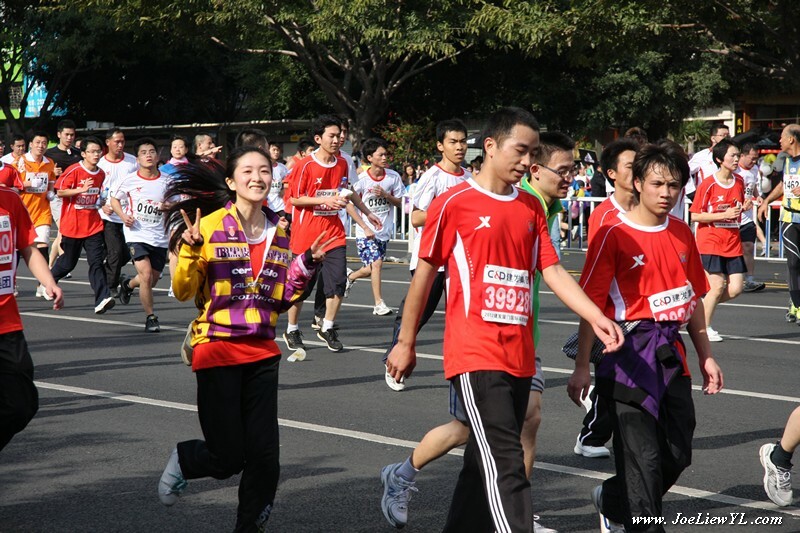 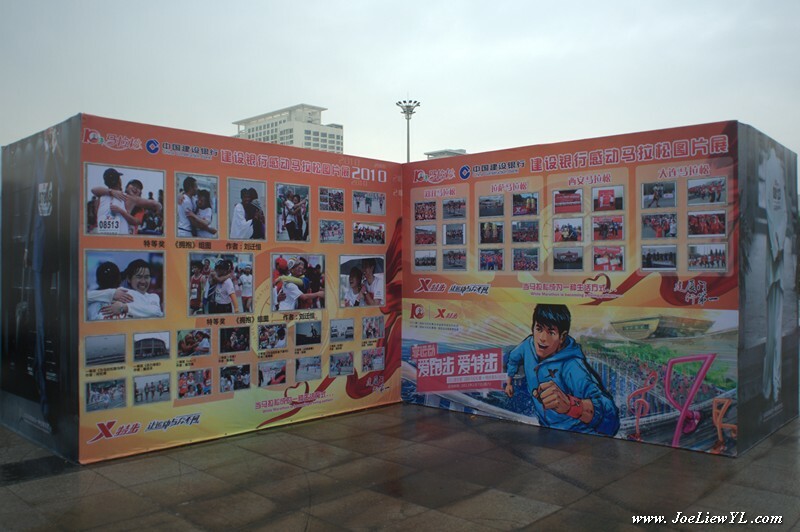 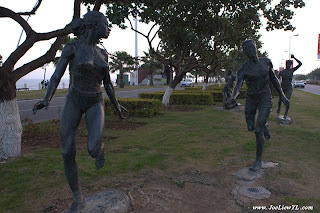 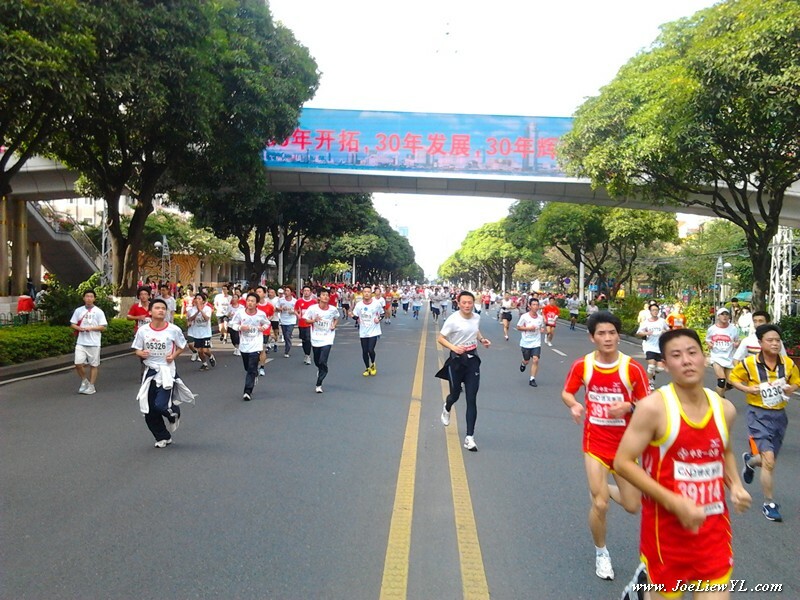 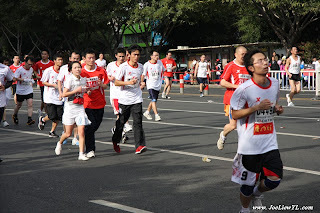 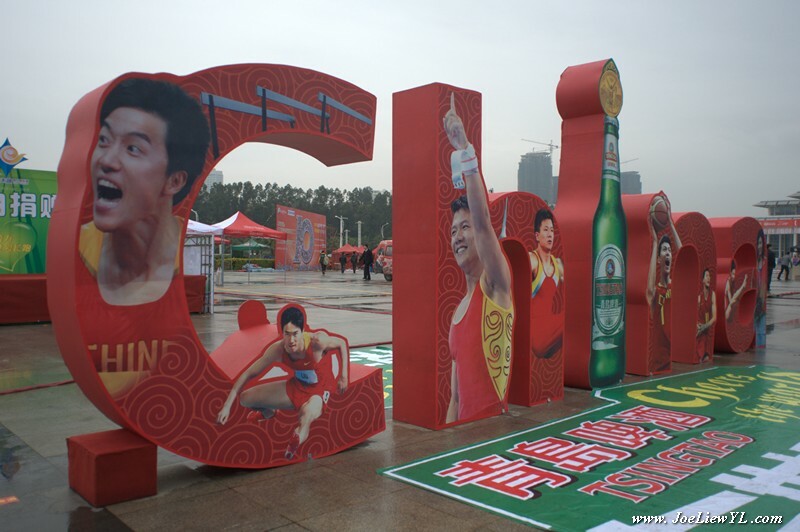 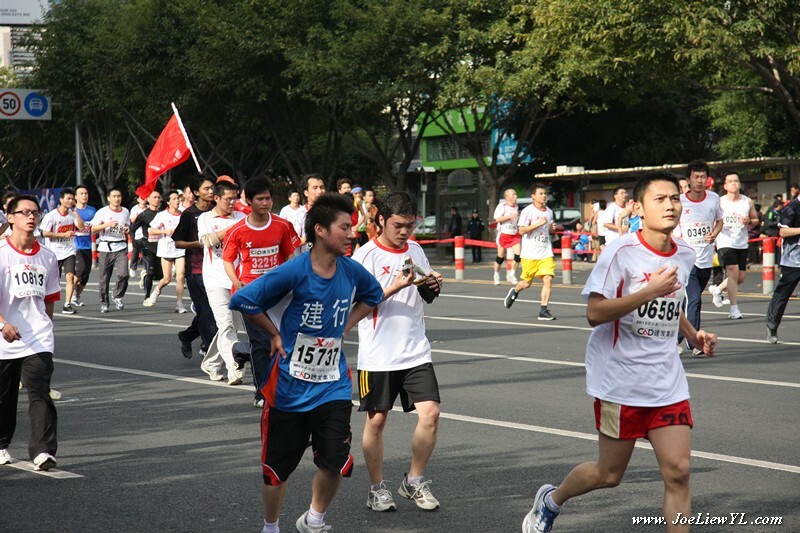 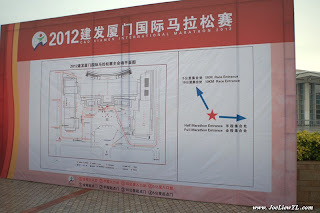 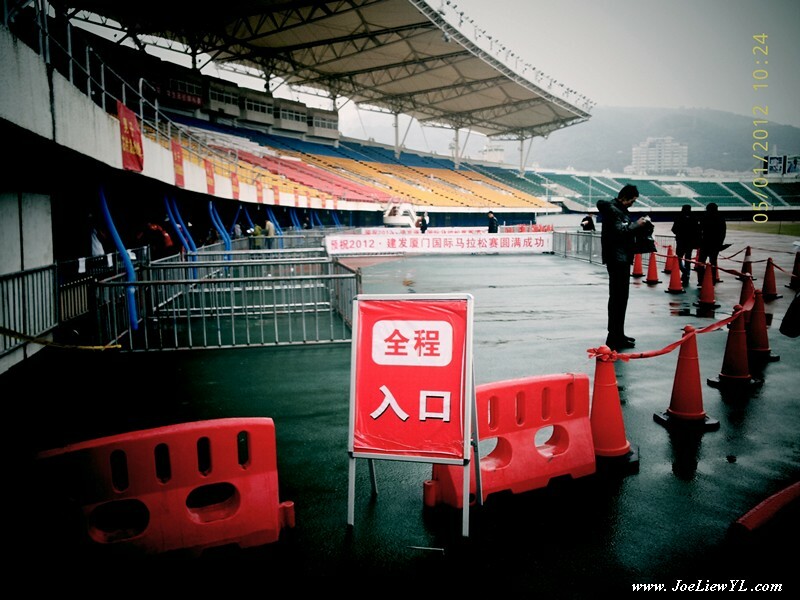 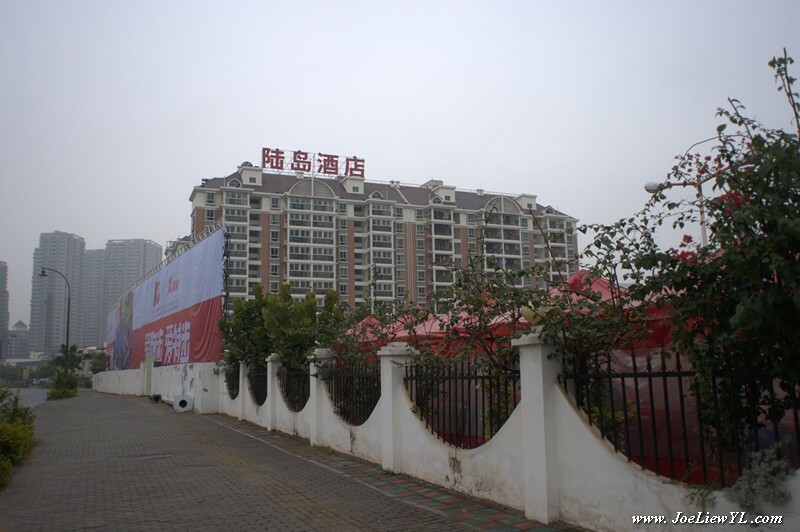 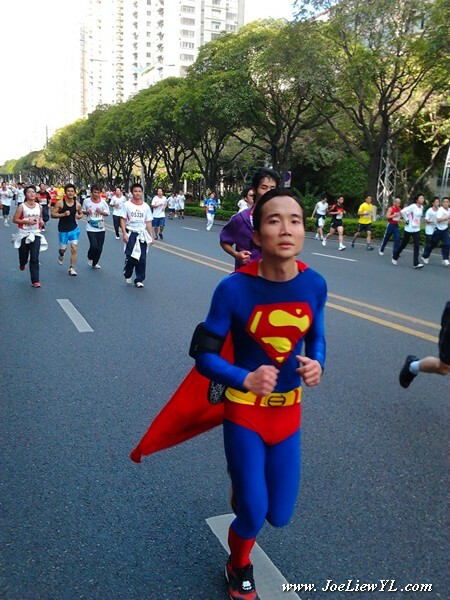 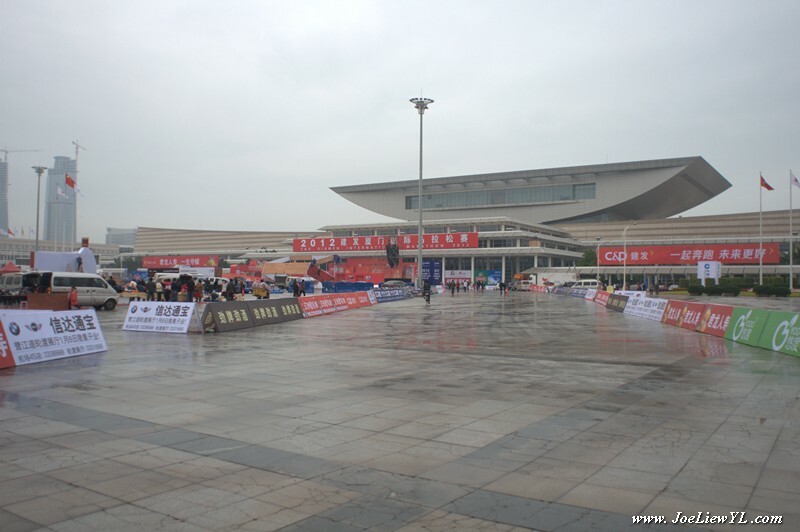 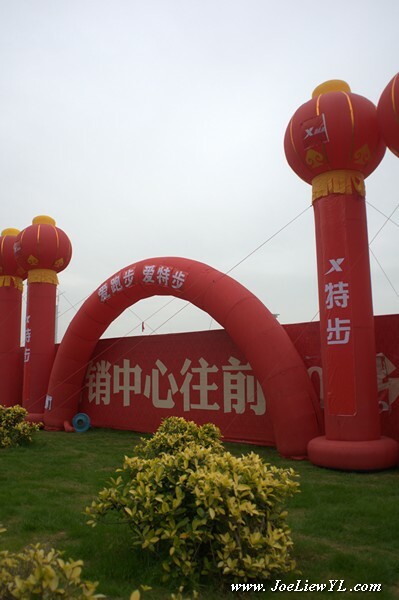 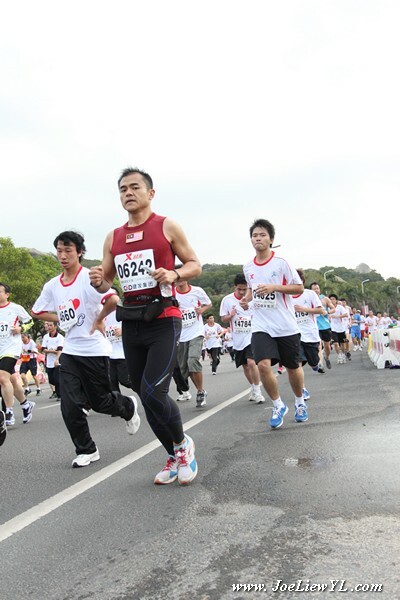 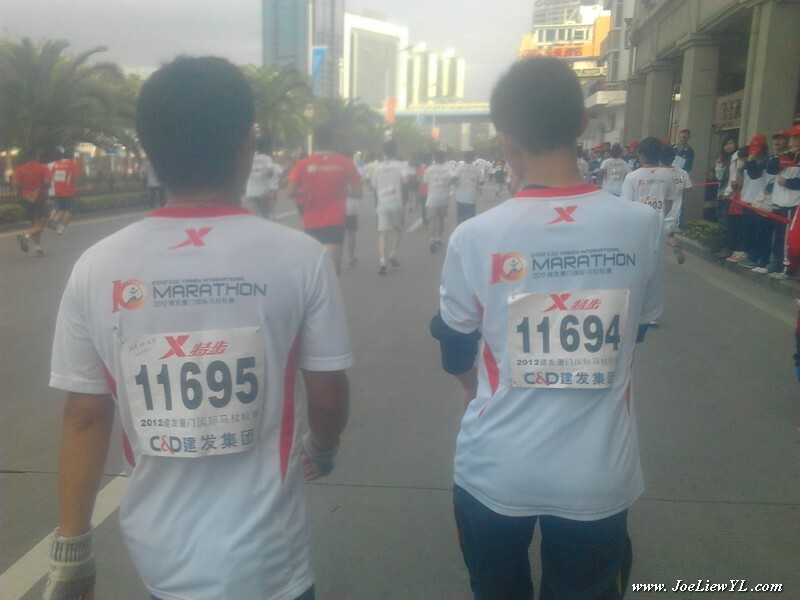 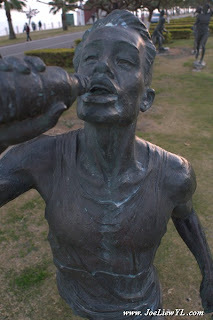 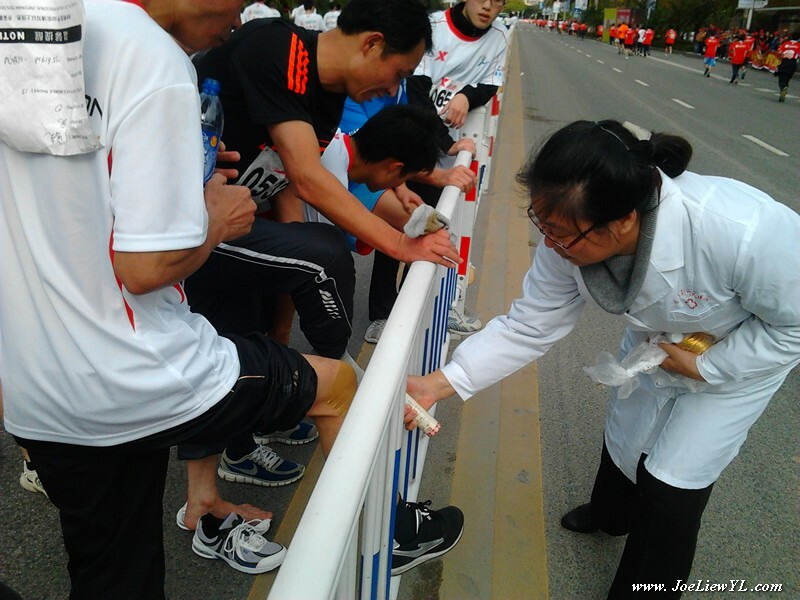 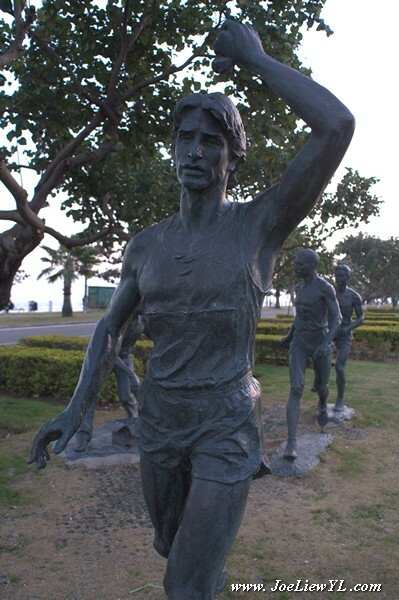 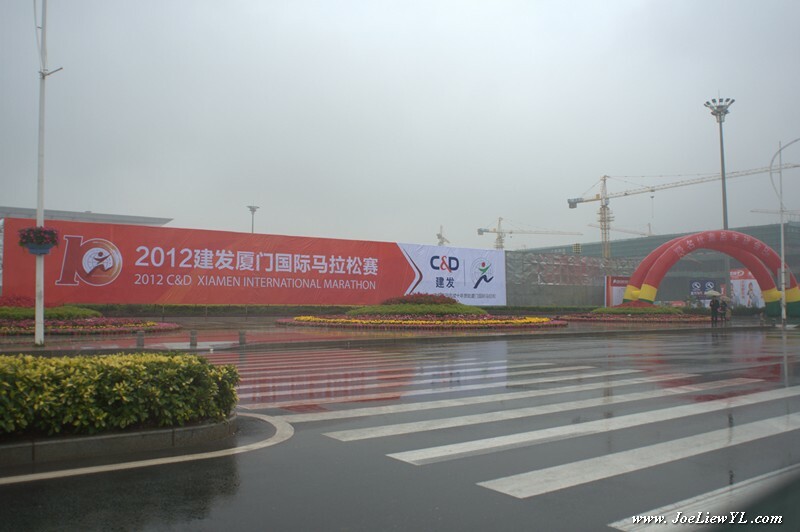 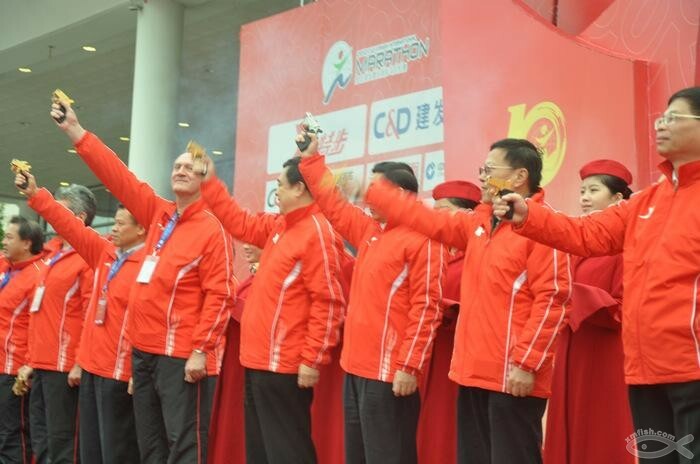 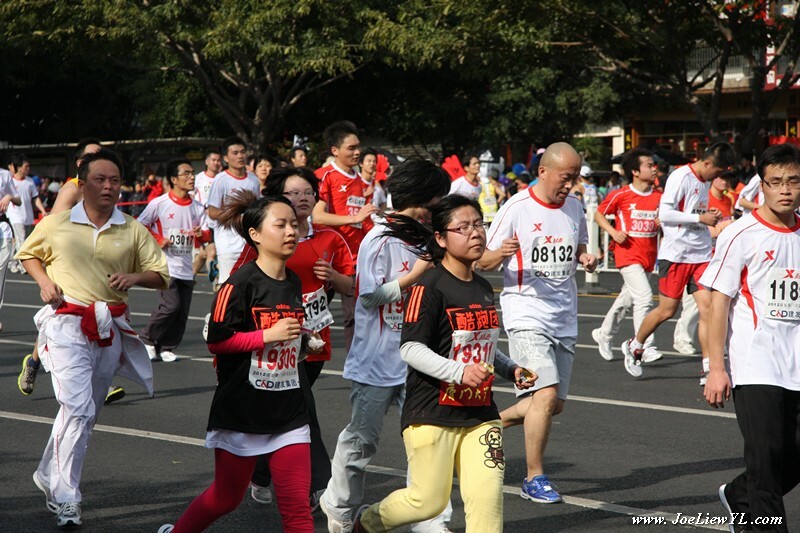 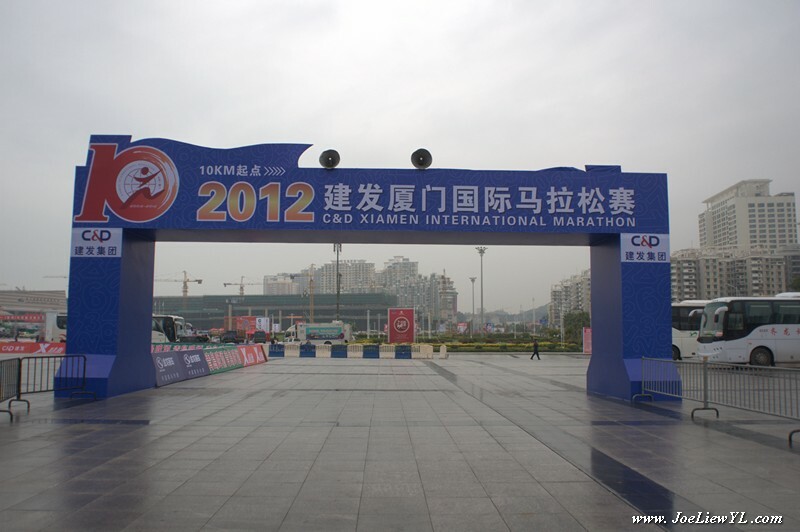 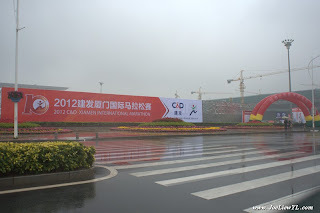 Xiamen International Marathon has been held annually for nine consecutive years since 2003. 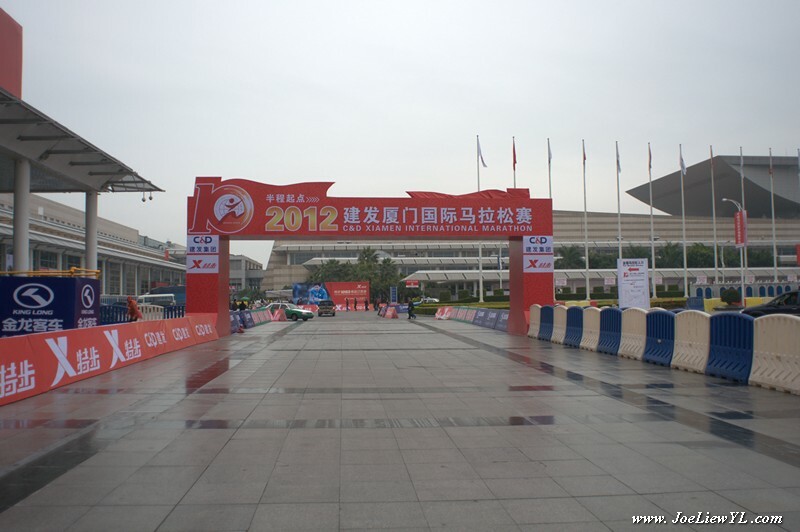 It is deemed as IAAF Gold Label Road Race for four consecutive years. 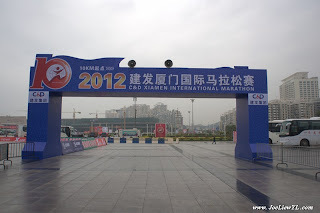 Every January, the first medal for Marathon race around the world is awarded here. 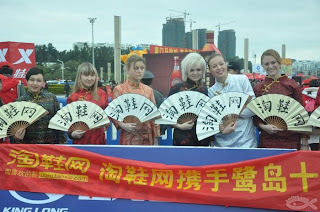 The race has become a golden name card, showing its splendor to the whole world. 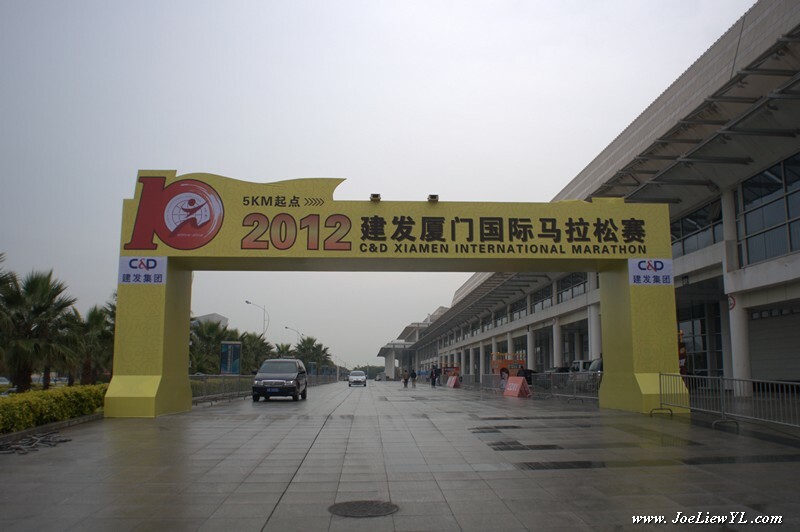 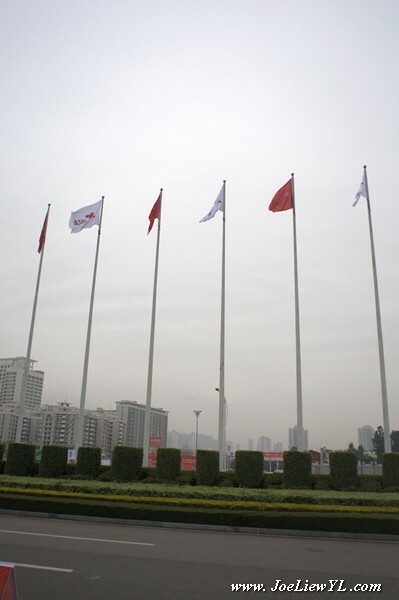 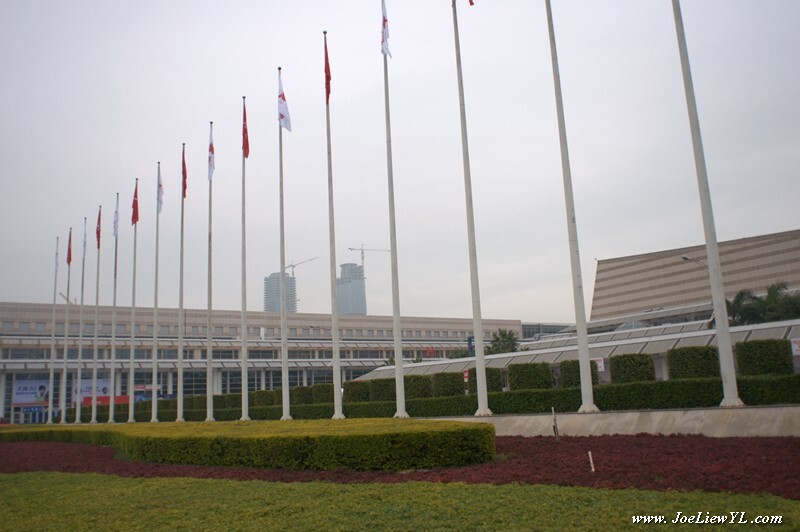 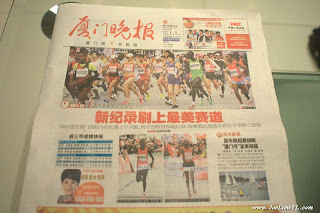 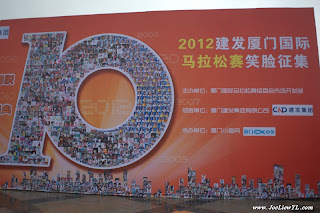 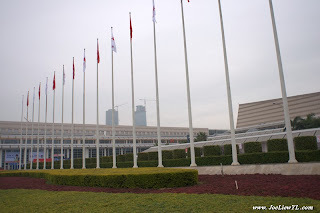 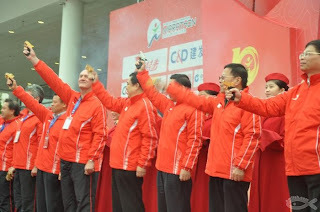 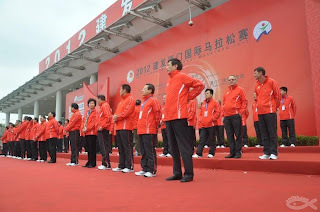 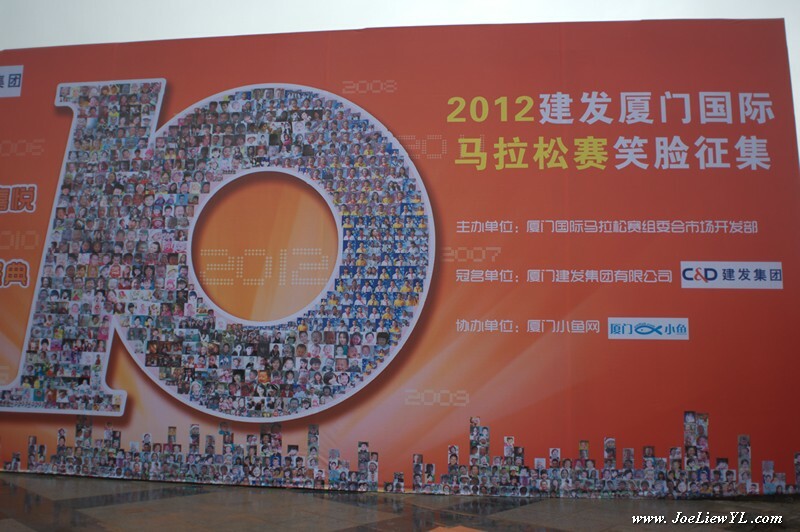 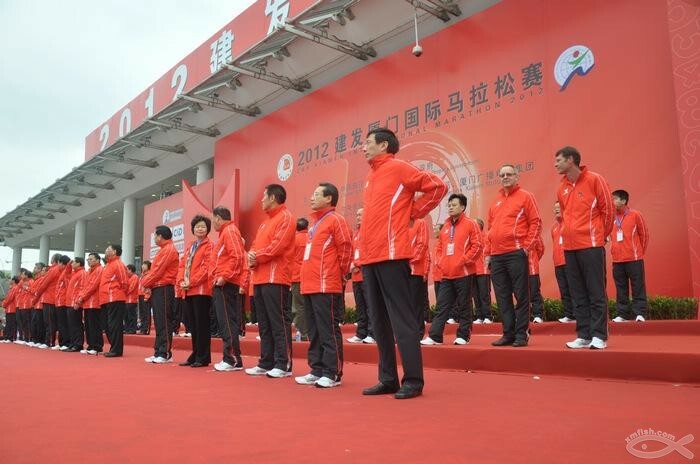 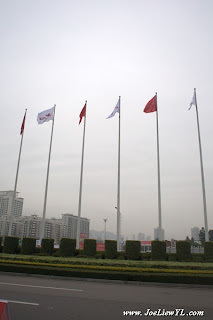 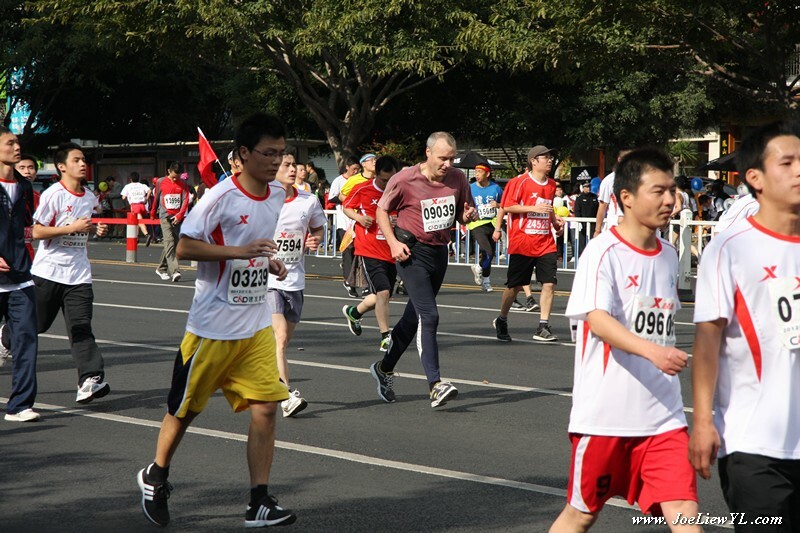 Total participants in Xiamen International Marathon this year (2012) consisted of 75,000 and with International participants / runners from 58 different countries. Race categories consisted of Full Marathon (42.195km), Half Marathon (21.0975km), WheelChair Half Marathon, Roller Skating 12km Race, 10km and 5km. 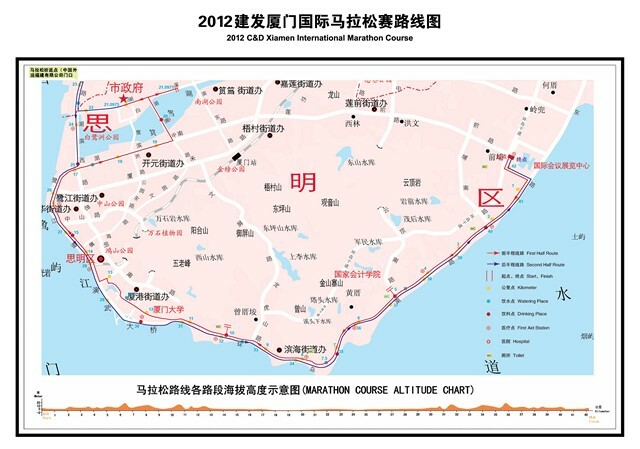 The marathon also includes tournament for Cross-Strait Invitational Marathon Tournament that includes professional international long distance runners from other countries. 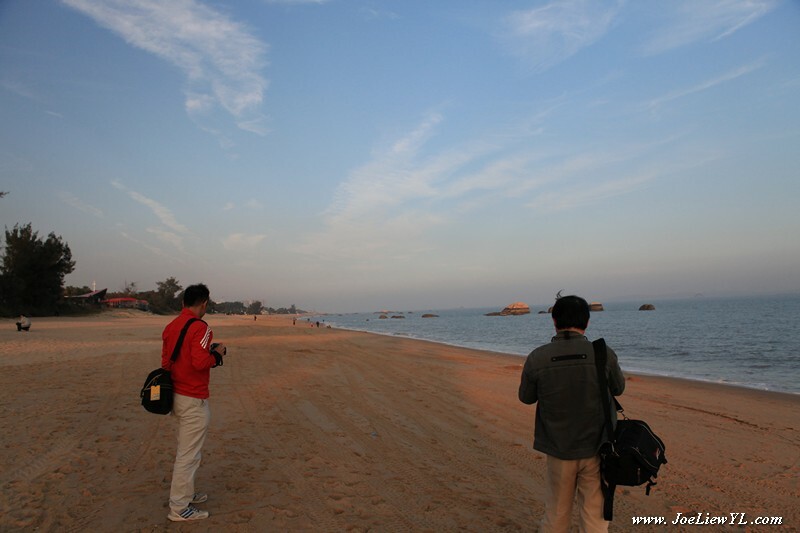 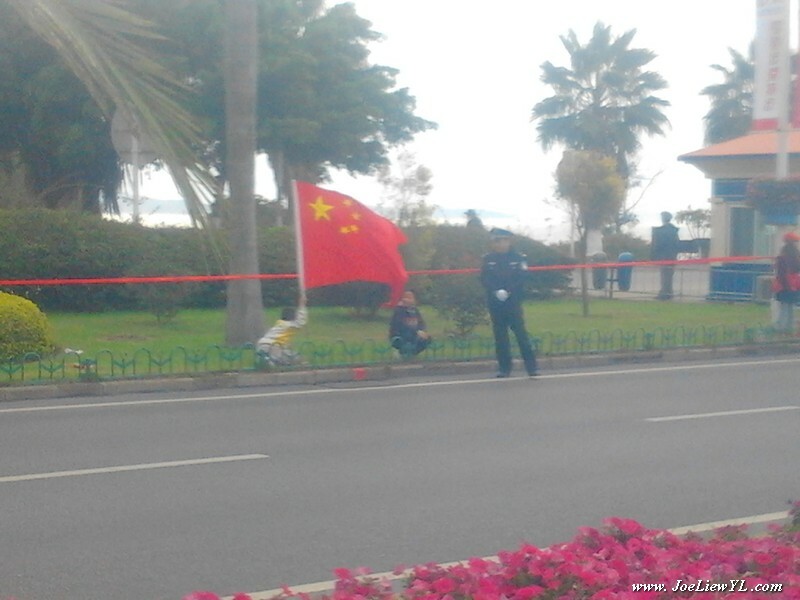 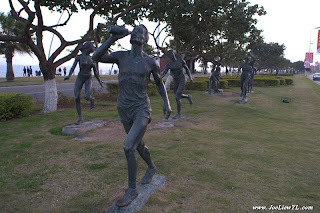 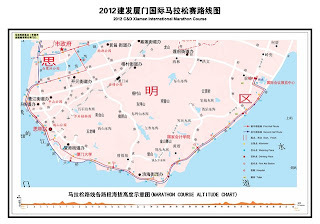 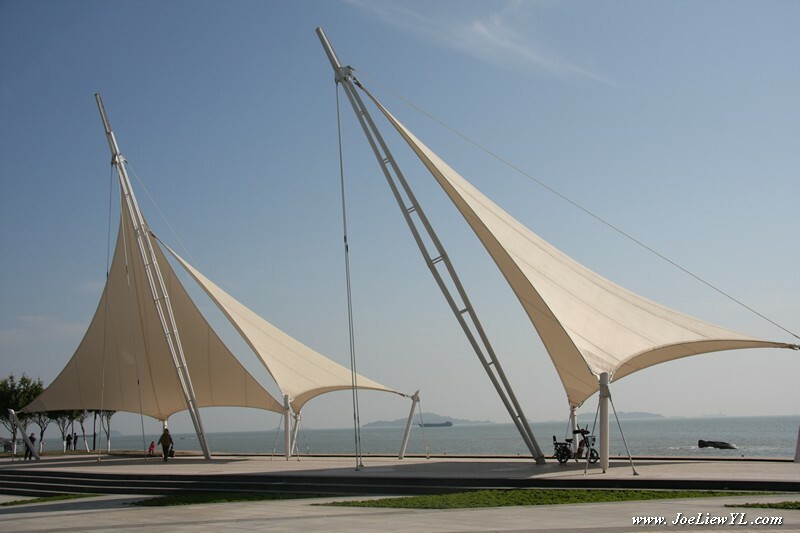 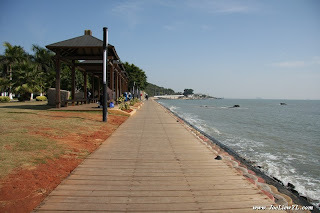 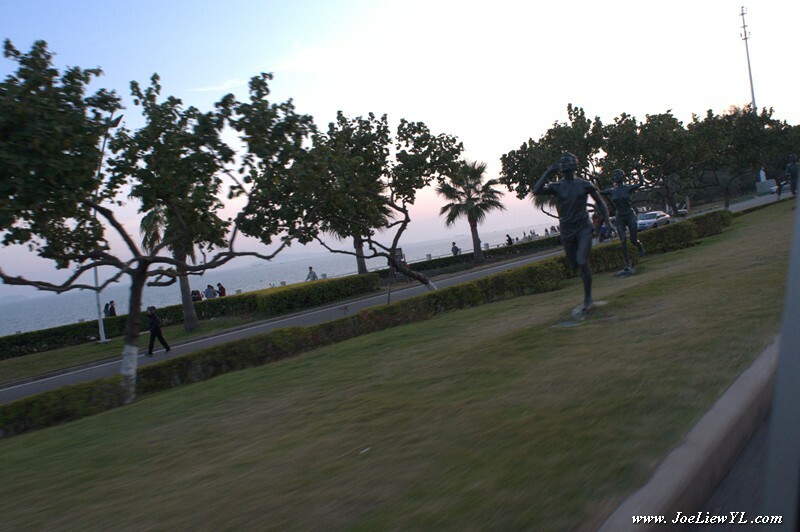 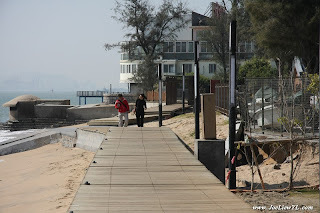 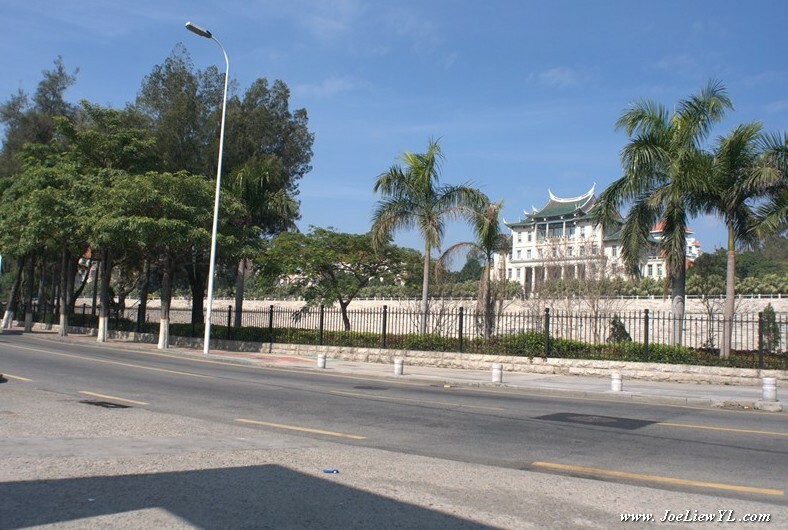 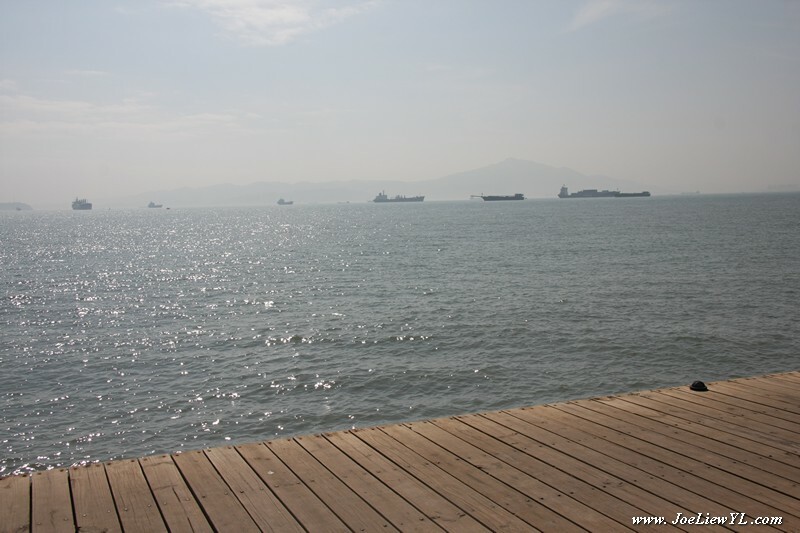 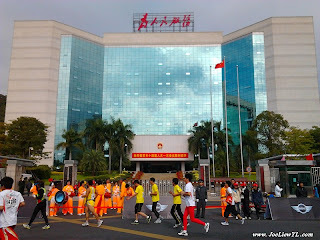 Xiamen International Marathon course is rewarded as one of the most beautiful courses in the world. 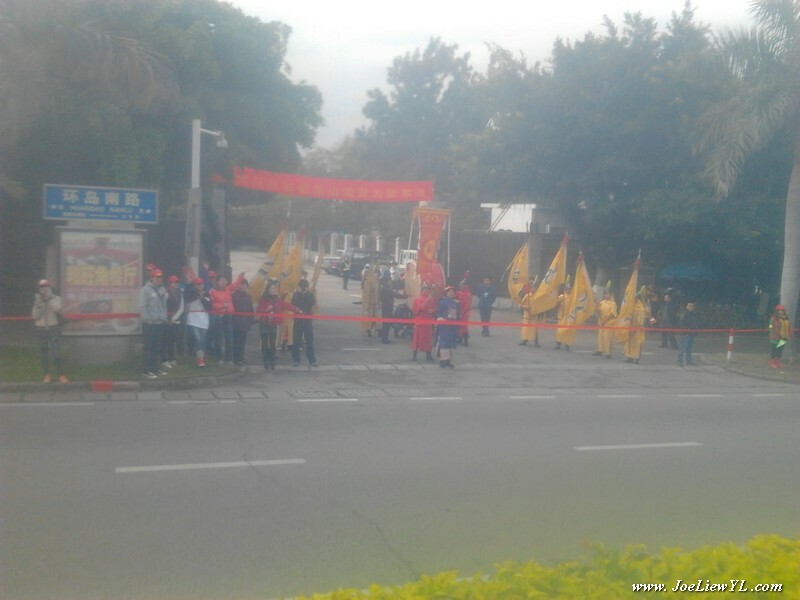 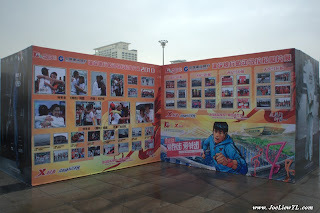 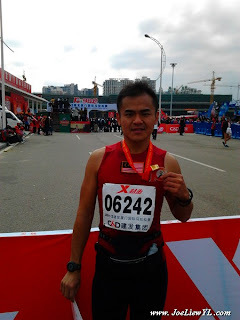 A Full Marathon in the year 2012 of the Dragon, in China "The land of the Dragon" and for a chinese descendant /龙的传人" such as me was a memorable maiden Full Marathon effort to my Passage to Running Freedom. 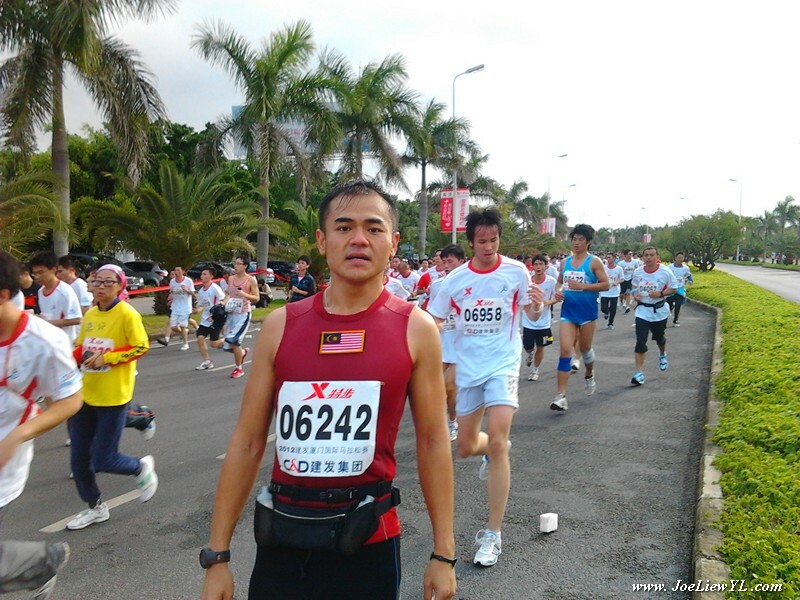 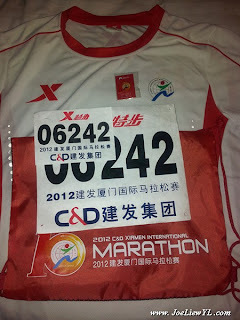 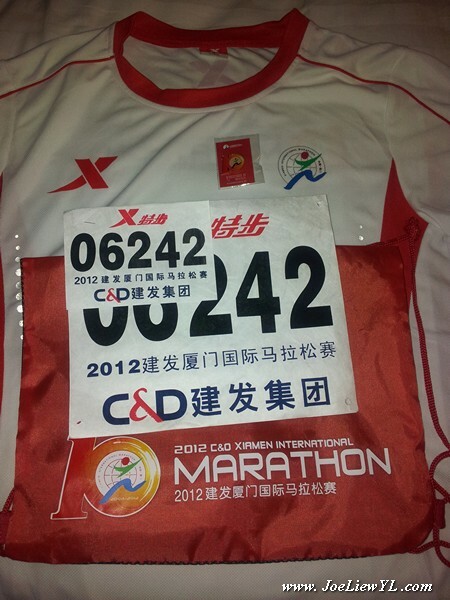 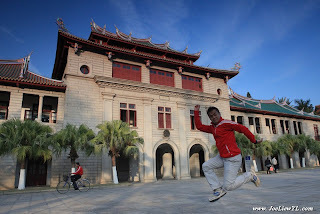 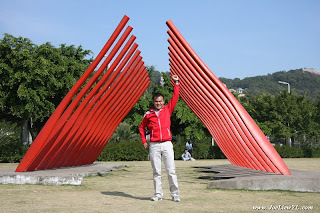 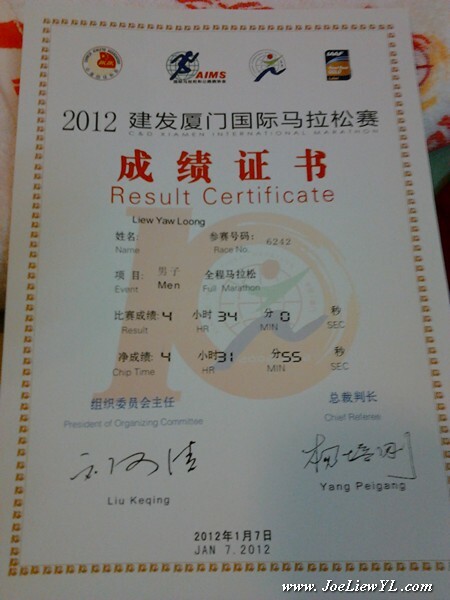 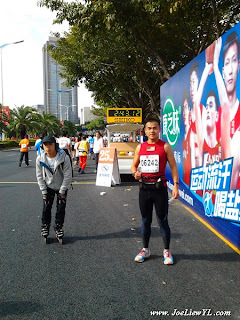 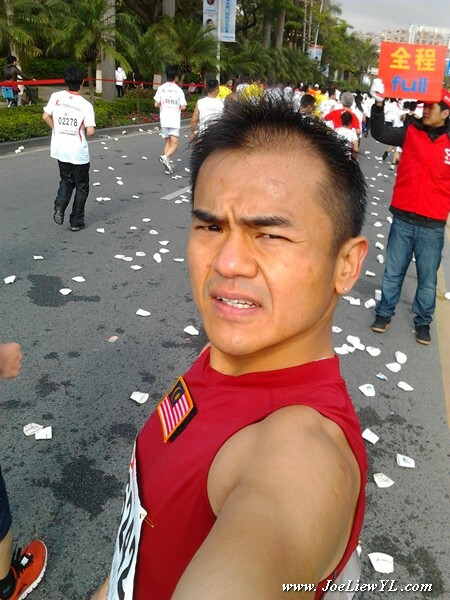 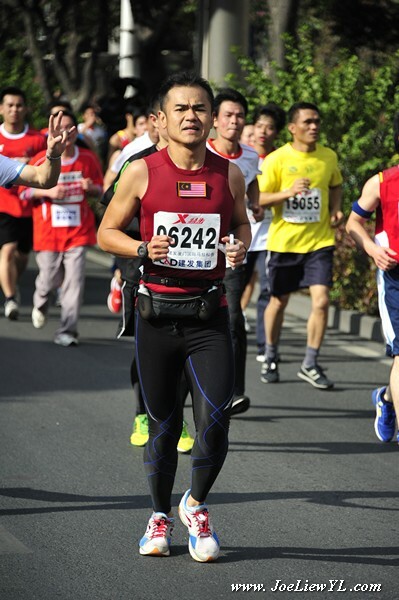 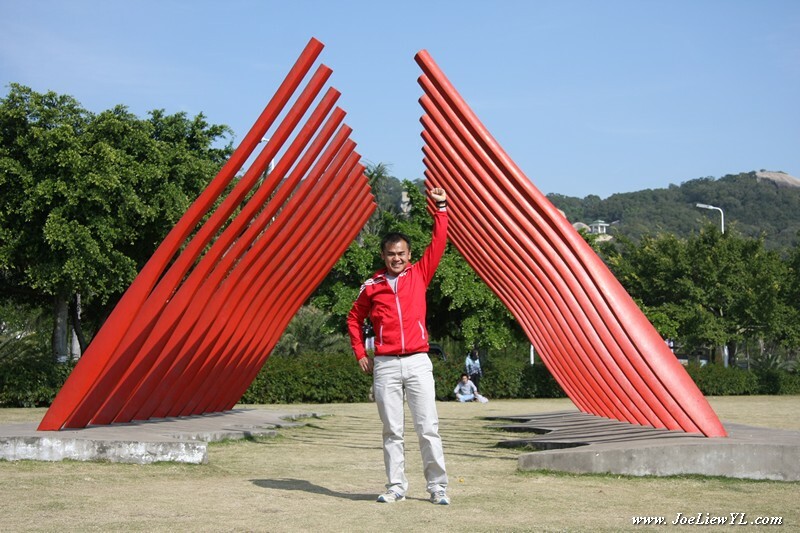 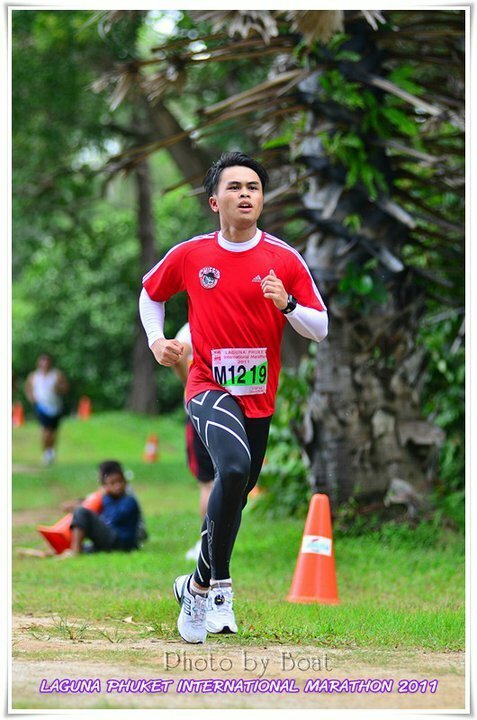 Xiamen International Marathon 2012 marked my break-through in my long distance running activities mileage when I registered for my maiden Full Marathon (42.195km) in it, which was scheduled on 07th-Jan-2012 (Winter) in Xiamen, Fujian Province in China. After much encouragements from my fellow veteran & newly upgraded Full Marathon runners buddies, I registered myself into it to go beyond my routine distance. 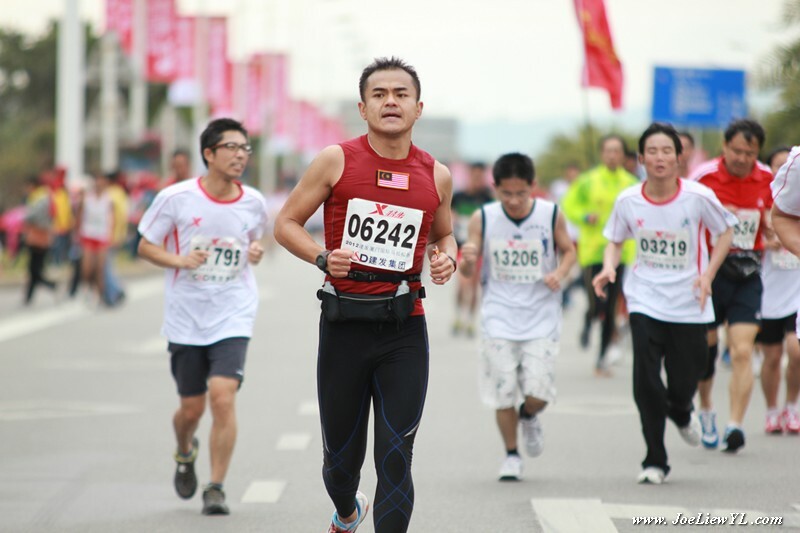 The event will be a combination of my Full Marathon running and my family bonding with my China relatives (Grand-Uncles/Aunts, Uncles/Aunts and cousins) in Xiamen, China. 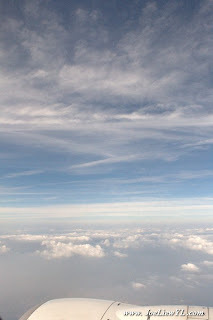 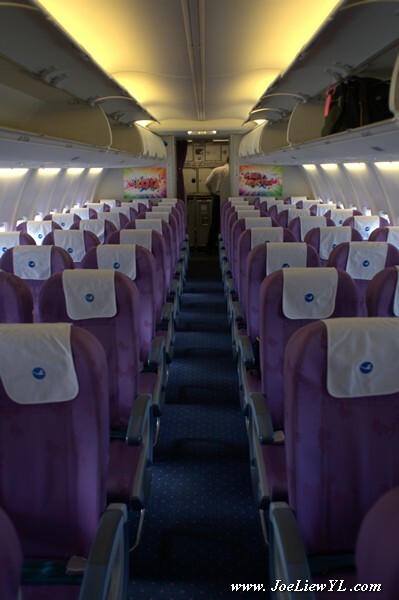 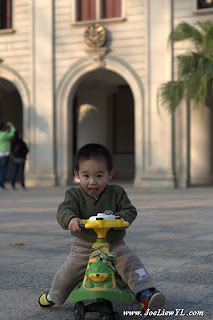 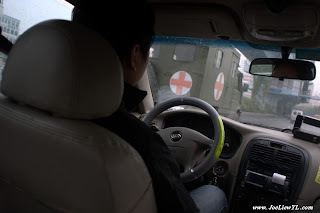 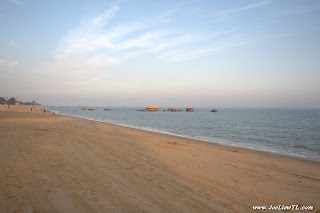 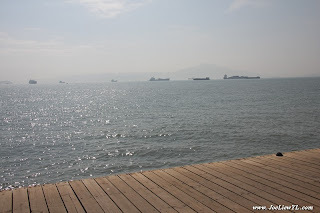 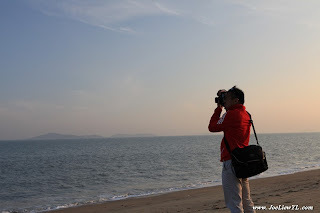 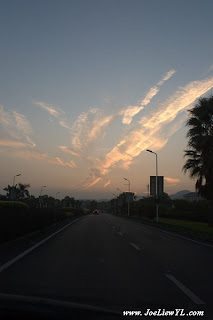 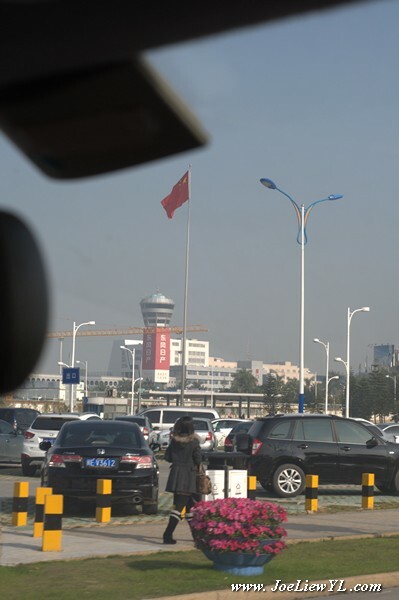 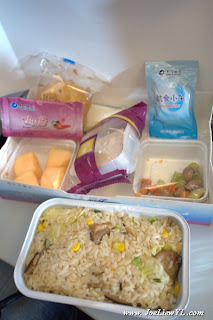 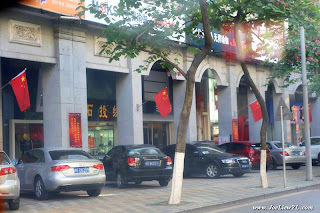 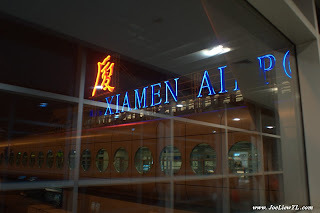 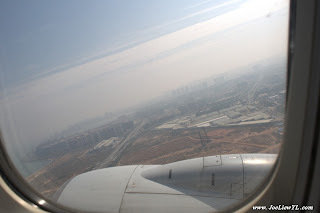 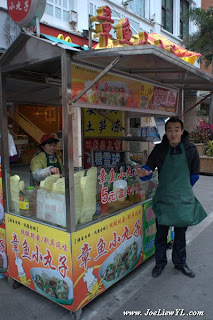 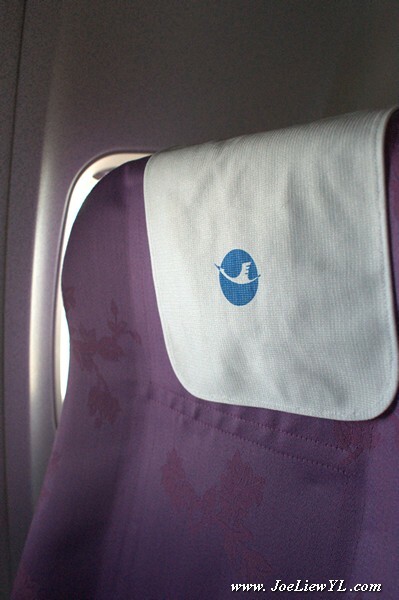 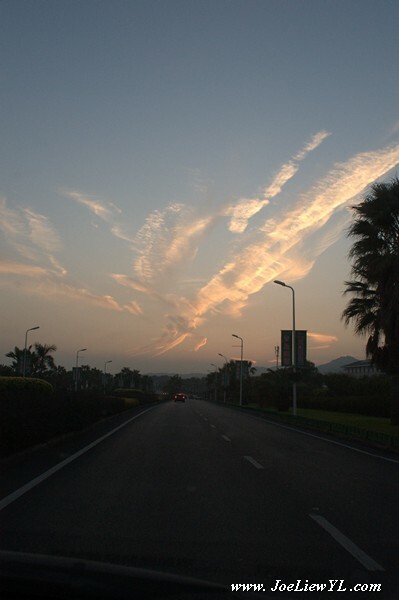 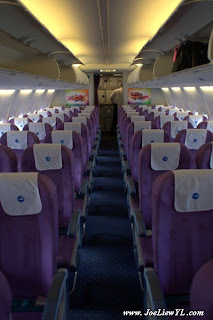 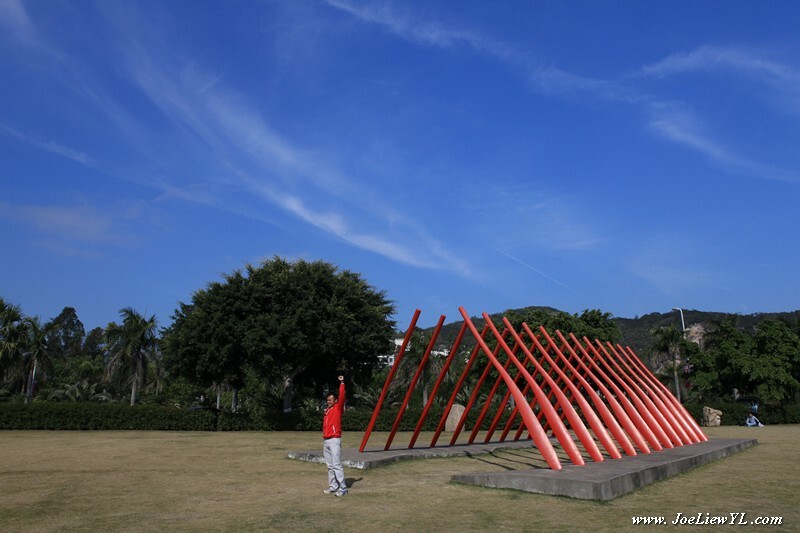 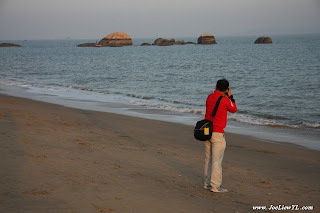 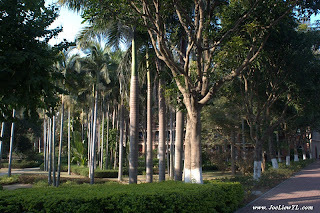 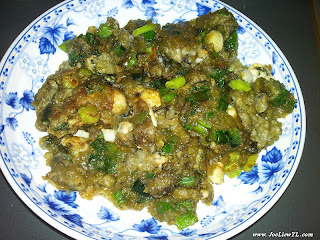 I departed for Xiamen (China) on the 4th-Jan-12 (Wednesday) to allow few days of family visits and sight-seeing before the race begins on the 7th-Jan. 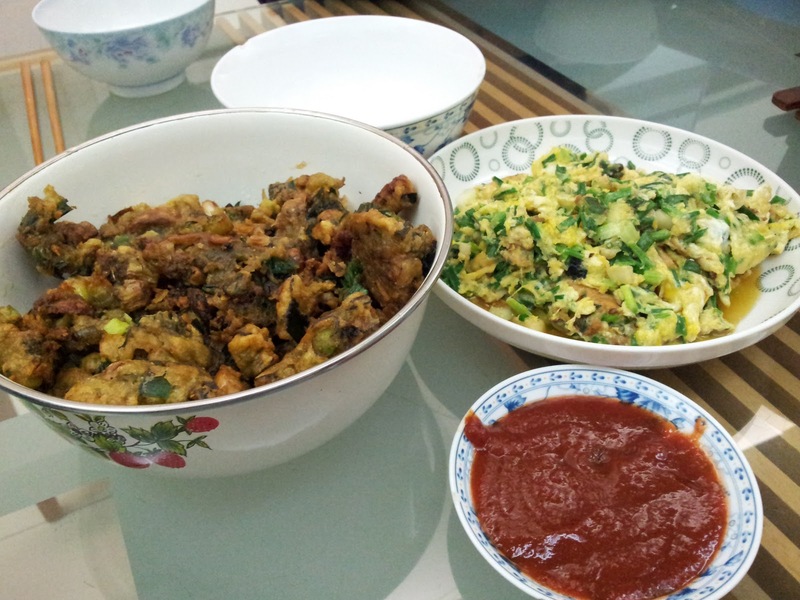 Returning on the 9th-Jan (Monday) was rather short as I do enjoy spending much quality family time with my China relatives and all the home-cooked local cuisines that I had an opportunity to taste. 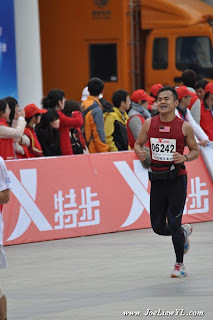 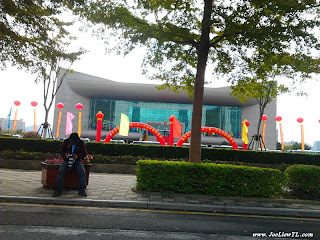 Lets step into my journey through my viewfinder and explore my passage into the "Land of the Dragon, China"
Collection lane for Full Marathon "全程"
and government delegates from abroad. 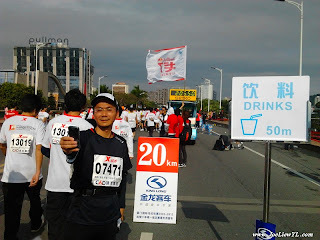 I came for fun too. 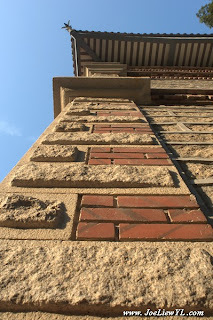 Supports from a nearby Fine-Art academy! 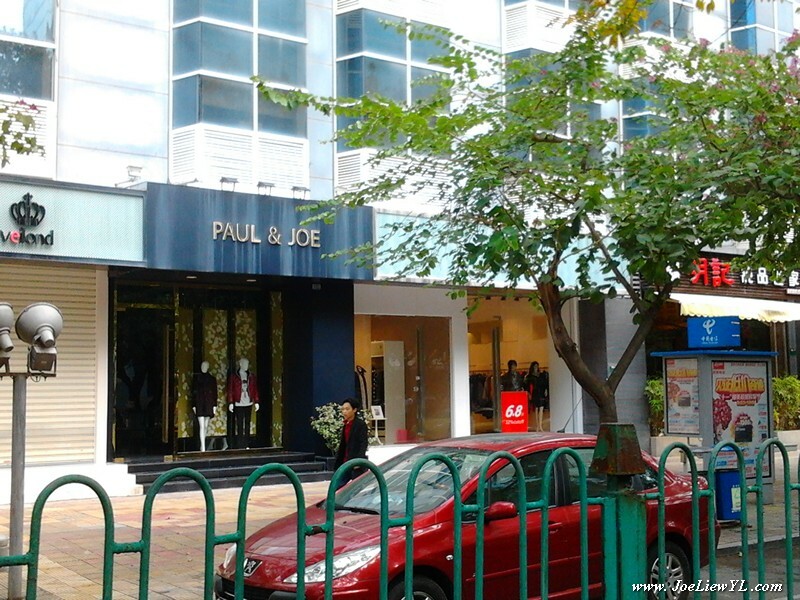 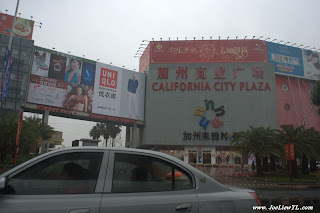 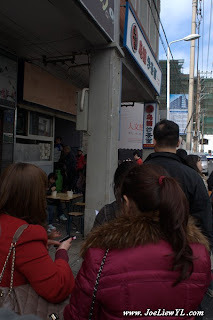 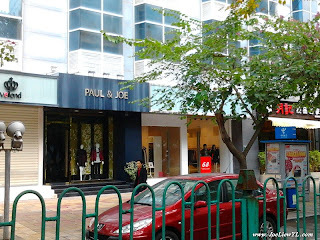 Didn't know I had a boutique in Xiamen, China. 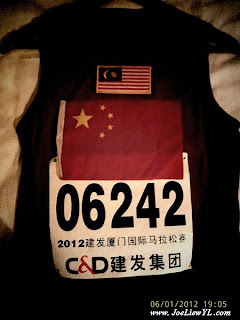 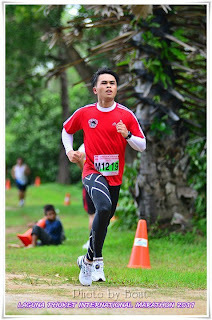 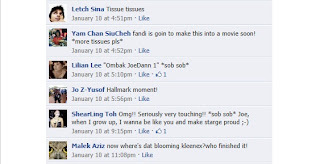 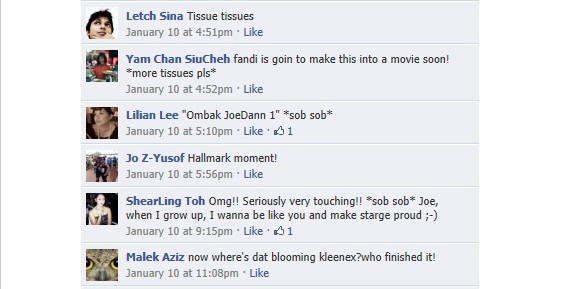 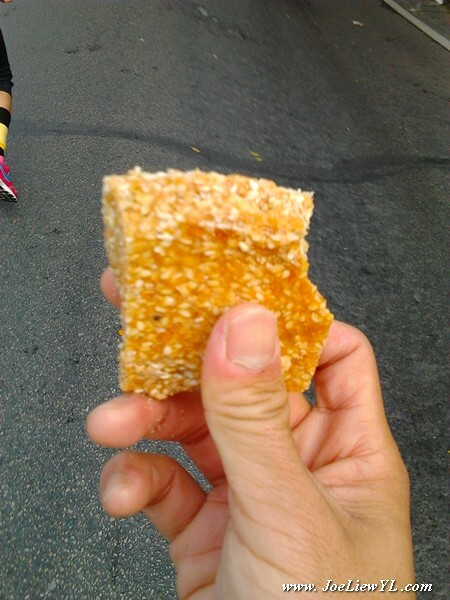 Given by by-stander supporter for my last 5km. 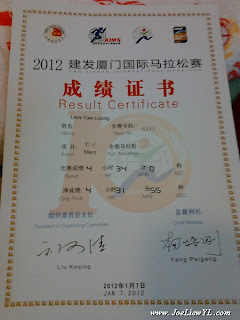 Finisher Certificate was printed on the spot. 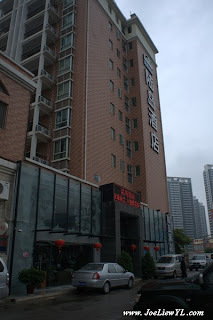 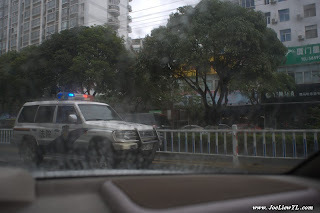 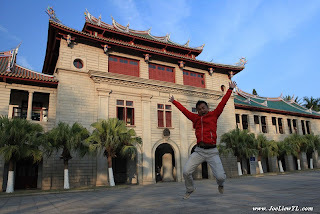 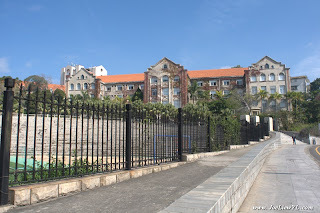 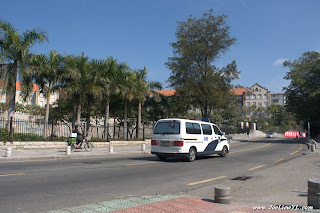 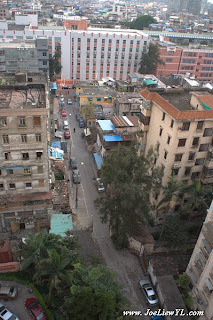 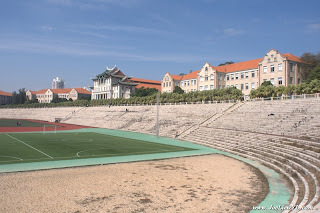 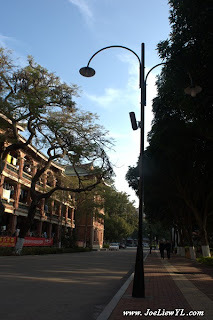 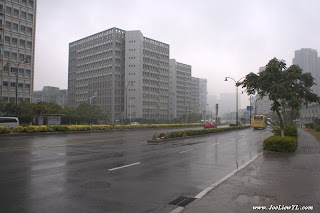 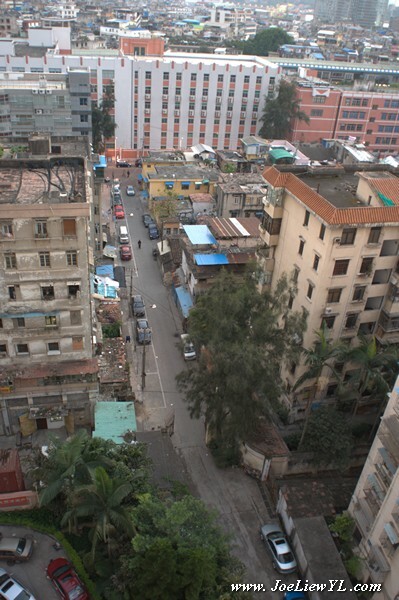 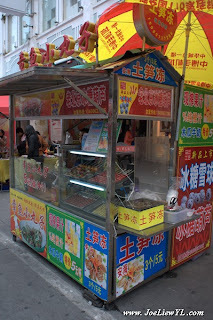 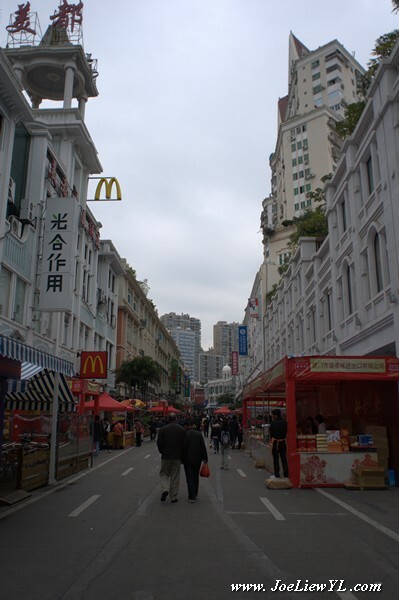 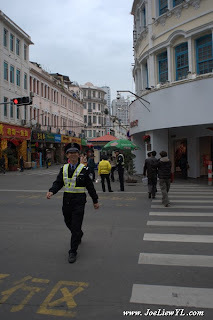 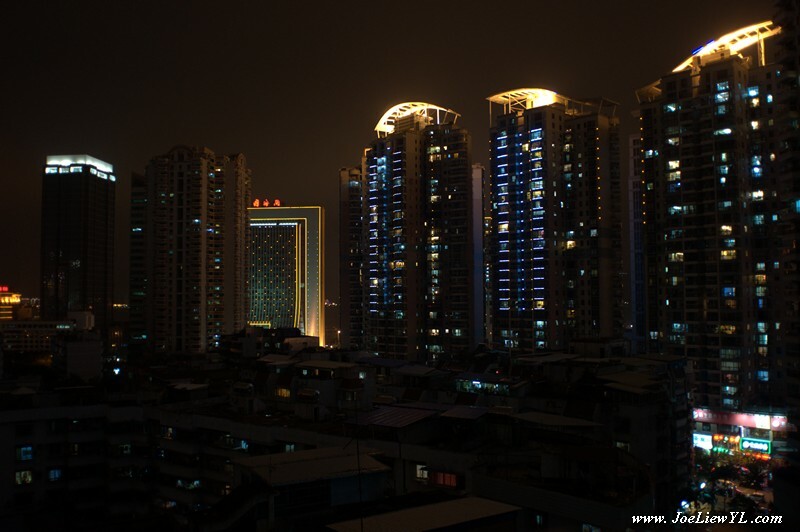 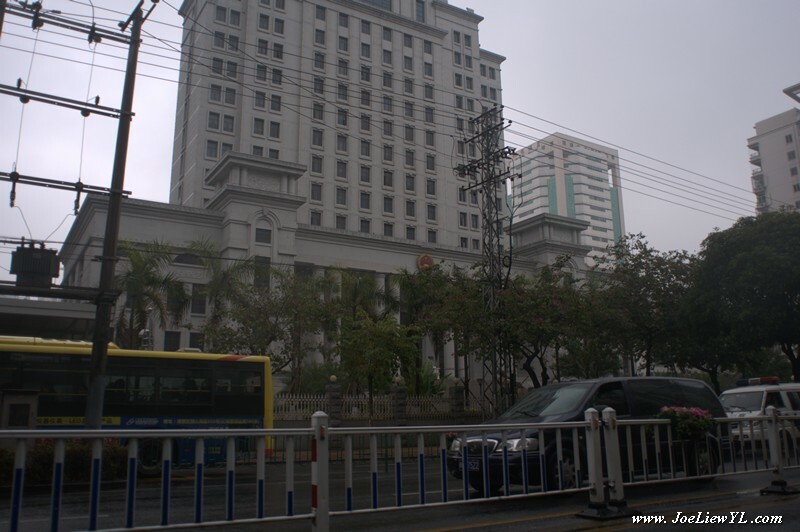 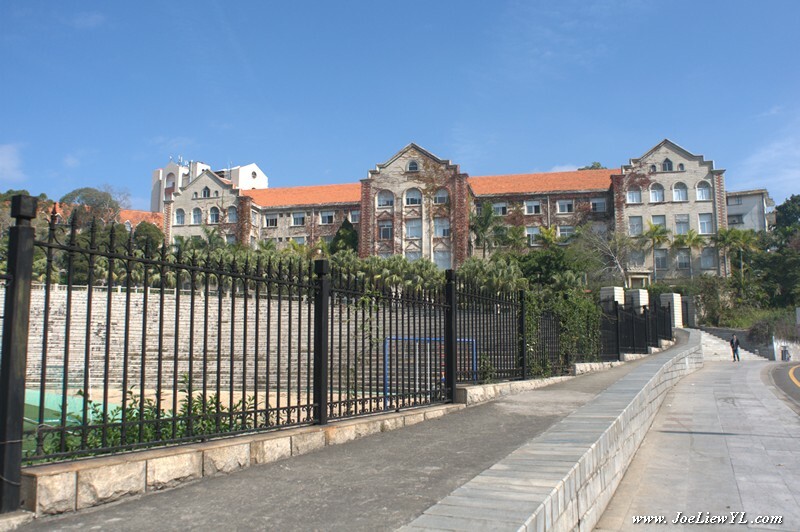 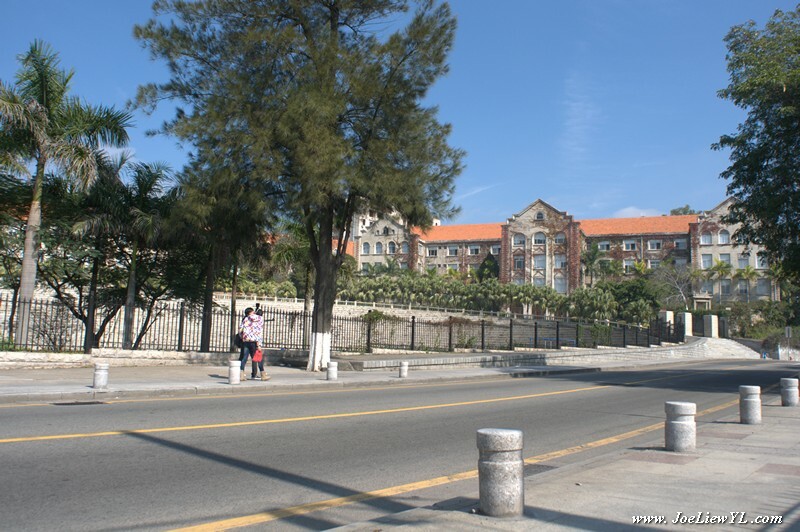 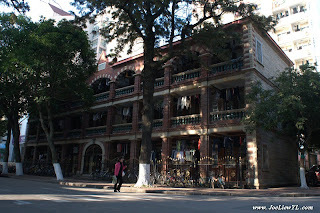 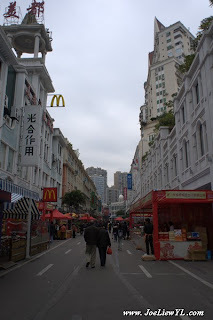 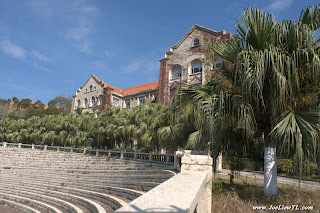 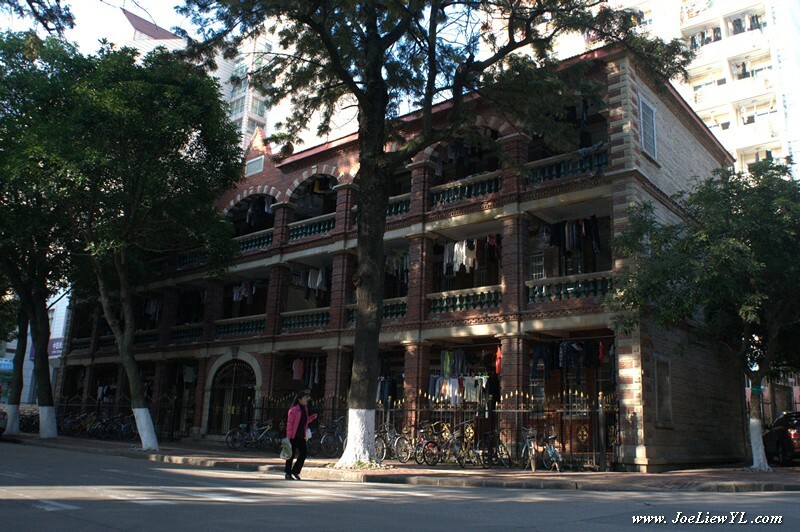 Xiamen also known as Amoy, is a major city on the southeast (Taiwan Strait) coast of the People's Republic of China. 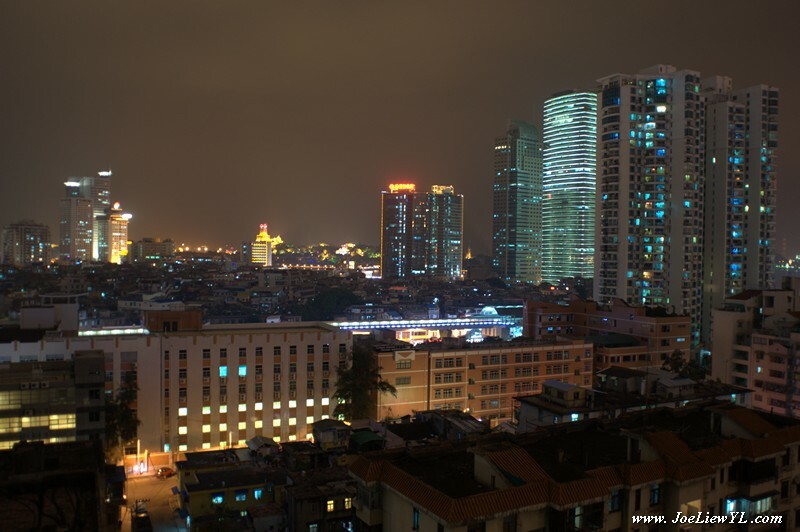 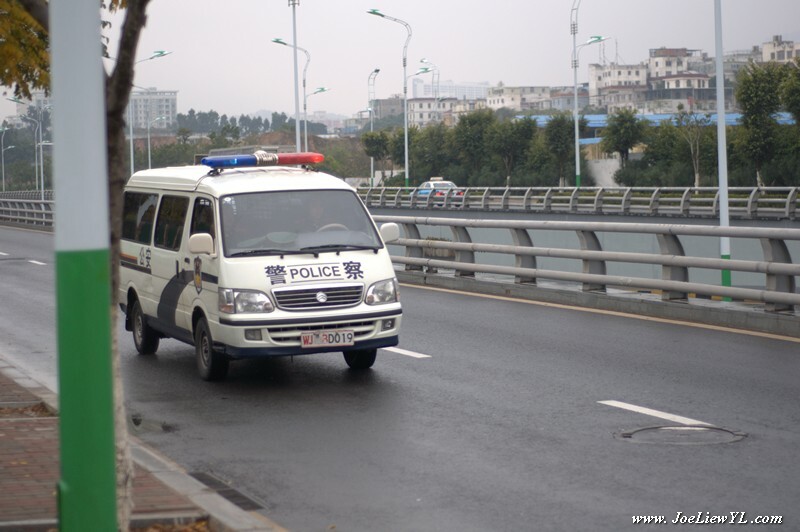 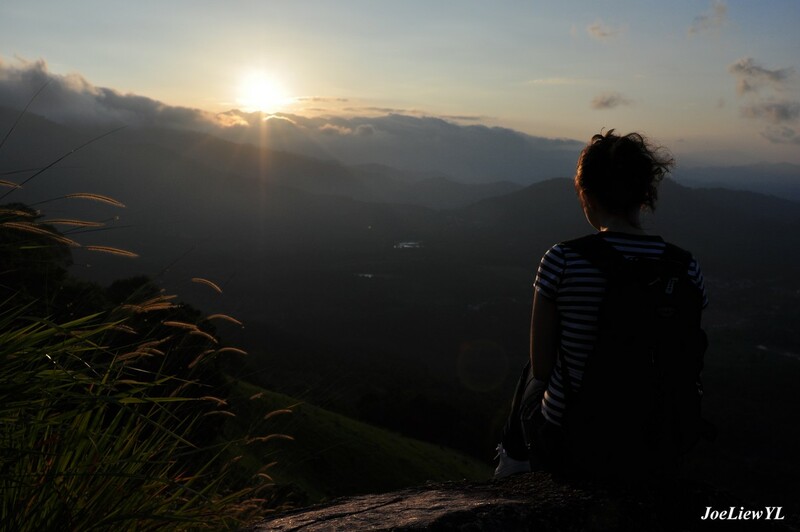 It is administered as a sub-provincial city of Fujian province with an area of 1,573 square kilometres (607 sq.mi) and population of 3.53 million. 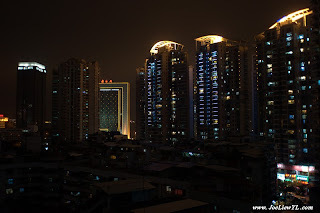 Its built up area is now bigger than the old urban island area and covers now all 6 districts of Xiamen (Huli, Siming, Jimei, Tong'an, Haicang and recently Xiang'an) for 3,531,147 inhabitants. 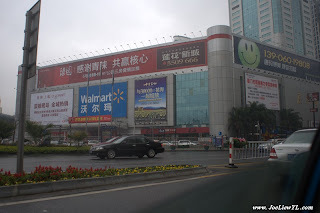 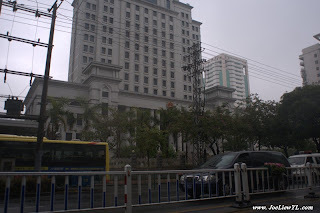 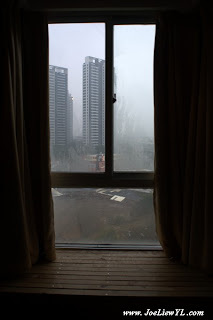 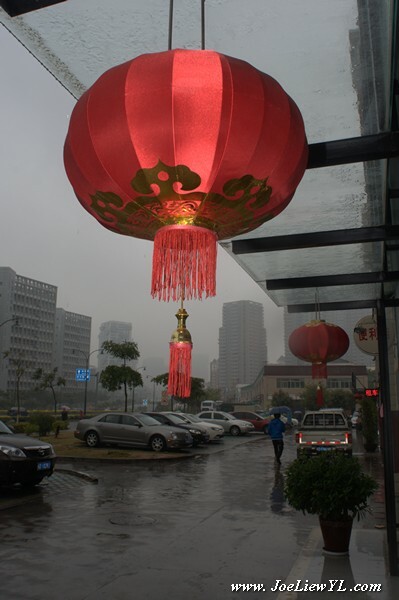 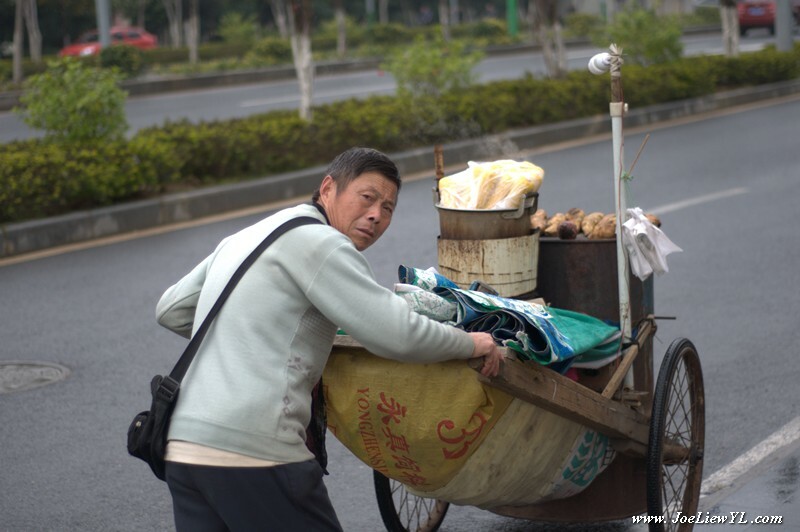 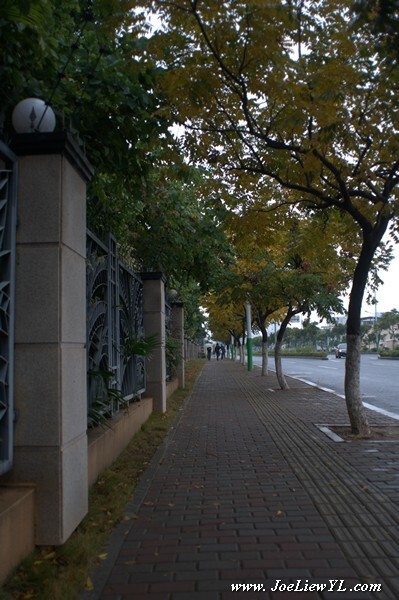 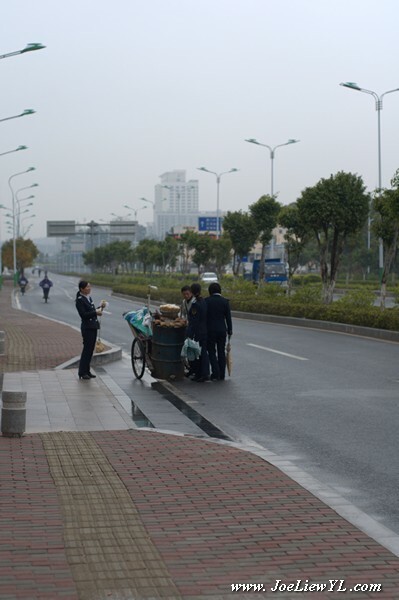 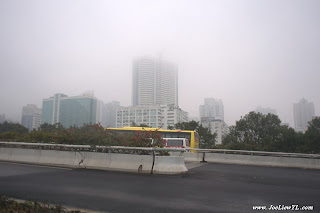 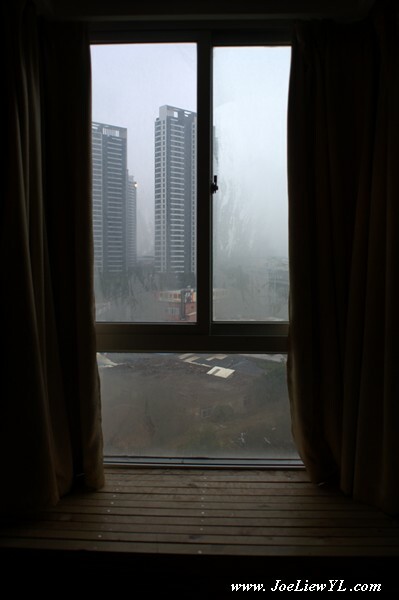 It borders Quanzhou to the north and Zhangzhou making this city a unique built up area of more than 5 million people. 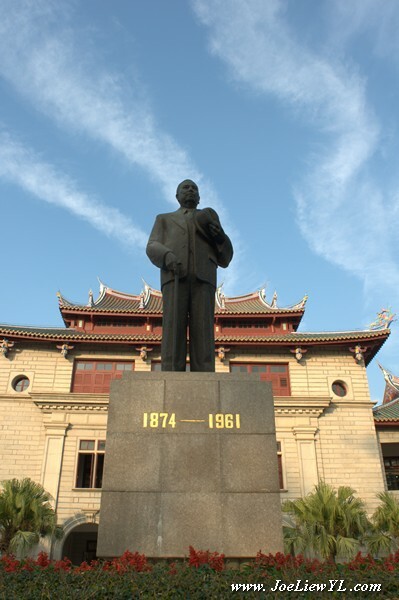 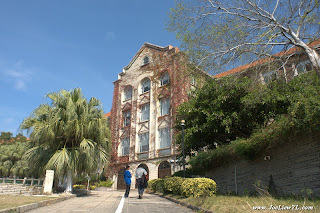 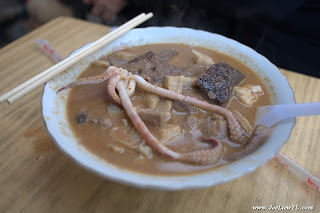 The Jinmen (KinMen) Islands administered by the Republic of China (Taiwan) are less than 10kilometres (6.2mi) away. 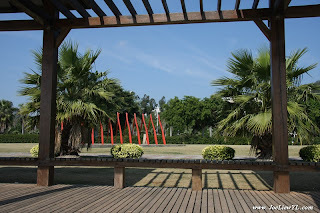 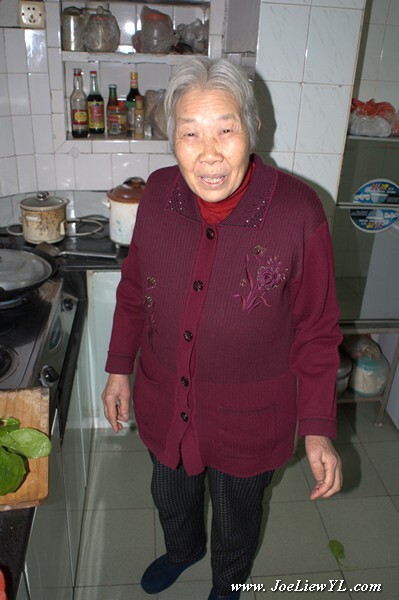 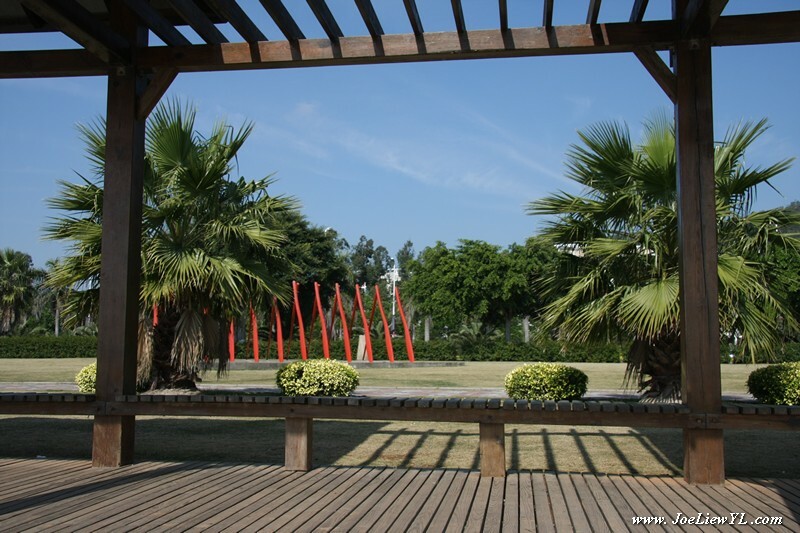 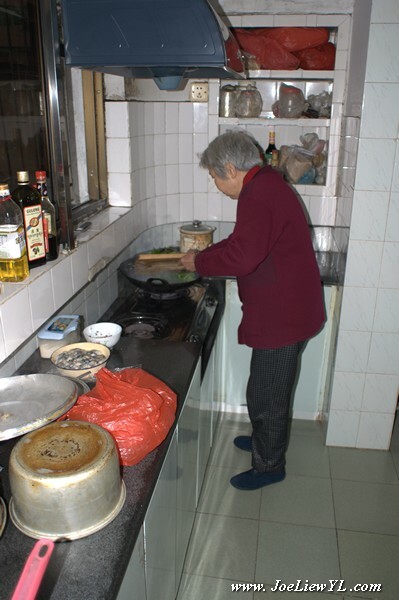 Xiamen and the surrounding southern Fujian countryside are the ancestral home to large communities of overseas Chinese in Southeast Asia and Taiwan. 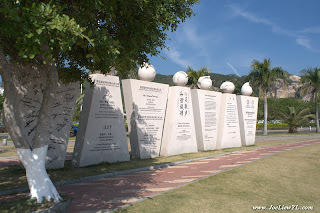 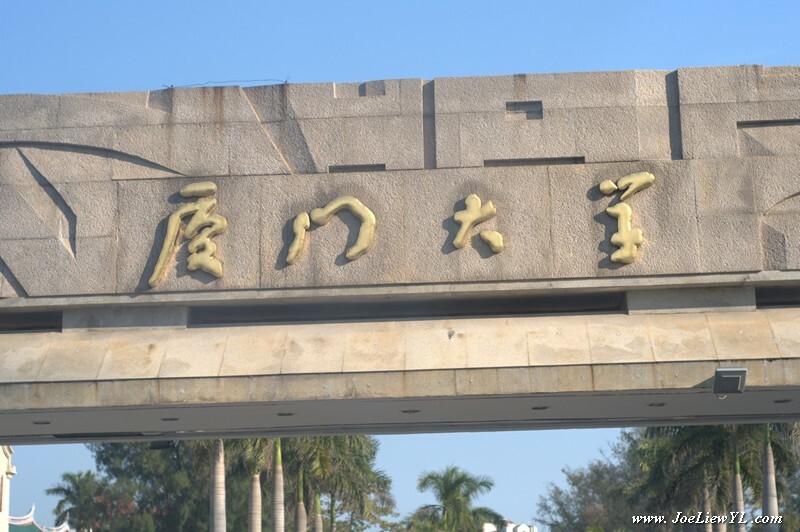 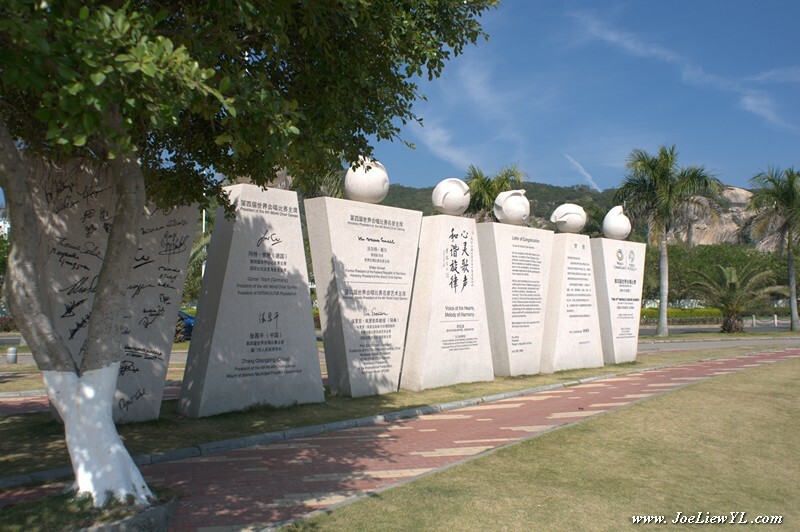 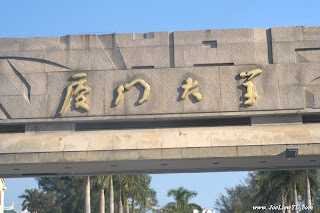 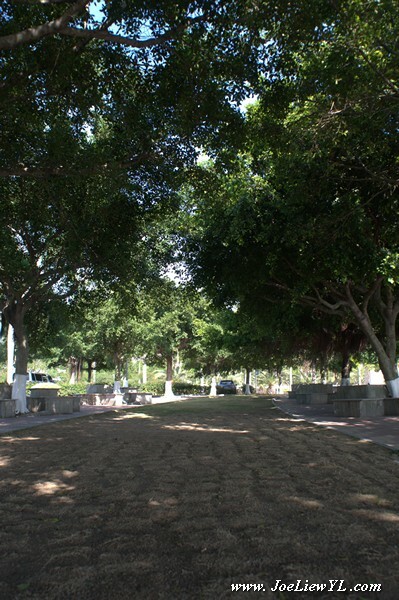 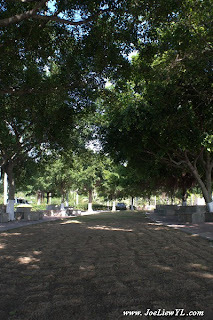 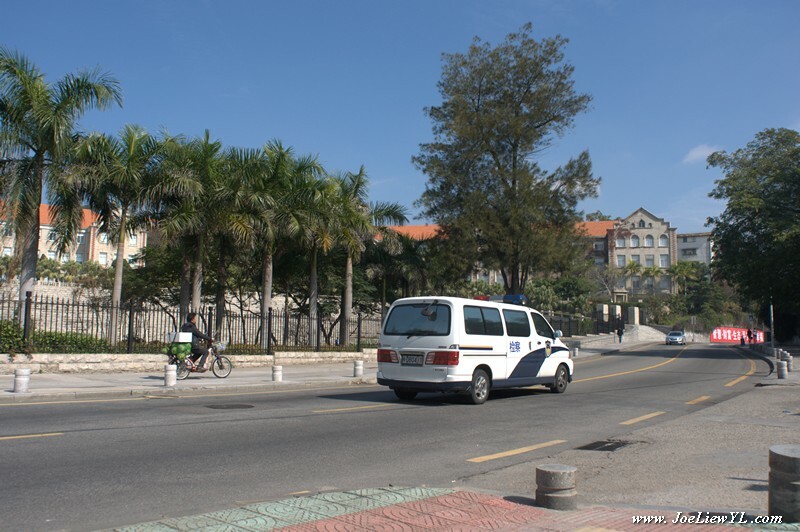 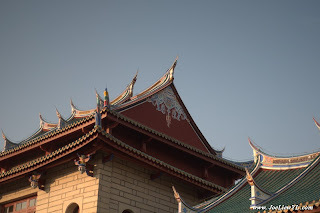 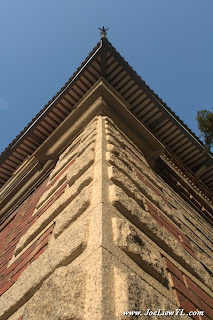 The city was a treaty port in the 19th century and one of the four original Special Economic Zones opened to foreign investment and trade when China began economic reforms in the early 1980s. 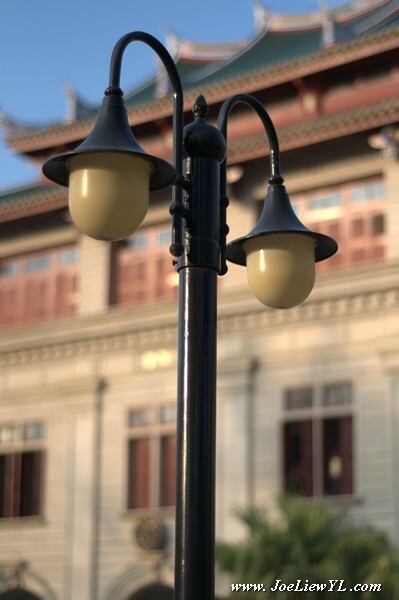 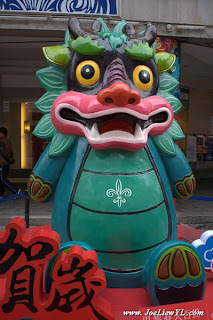 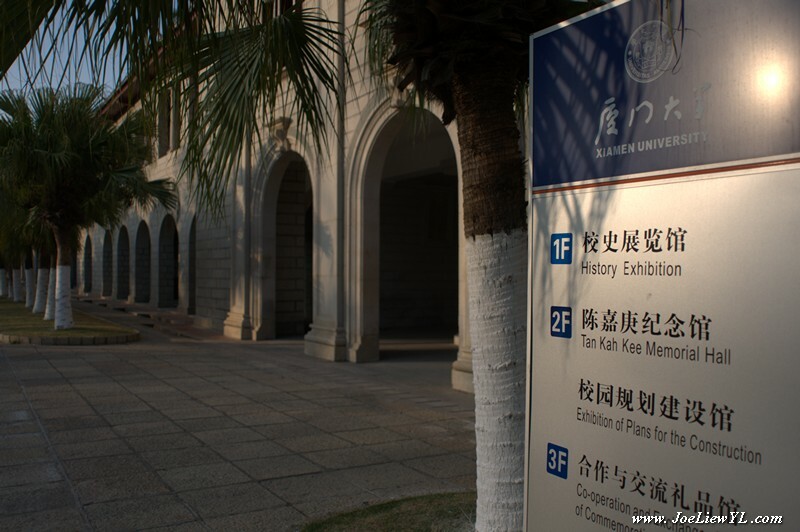 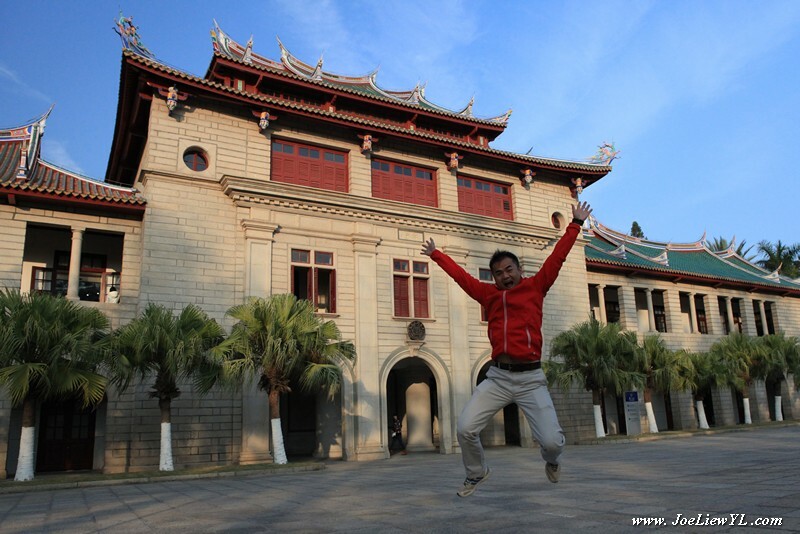 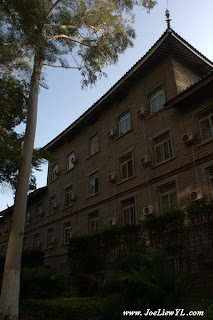 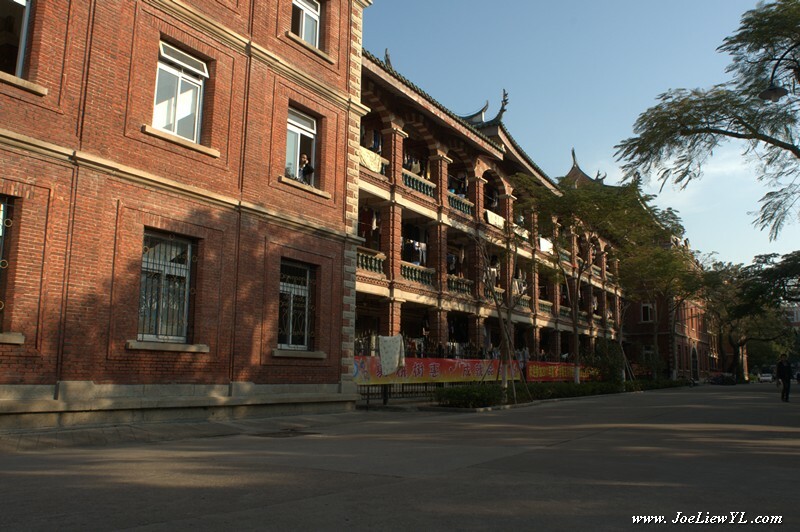 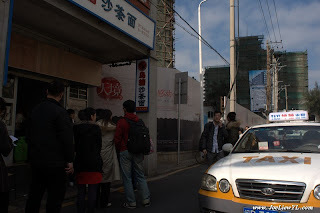 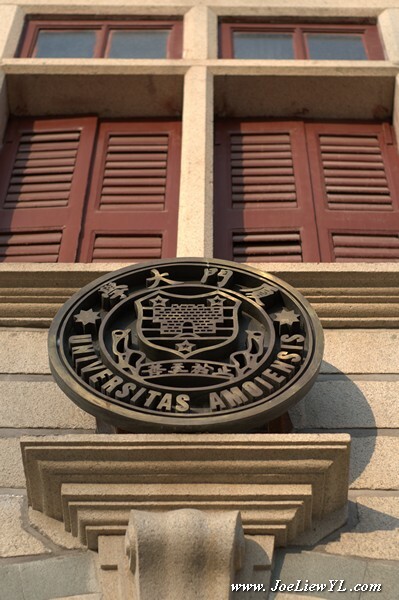 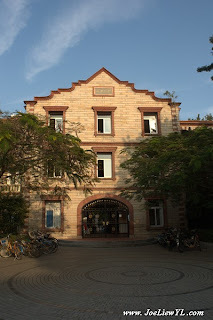 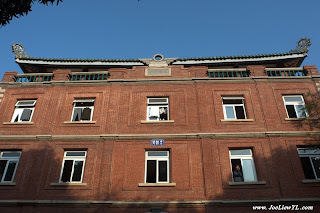 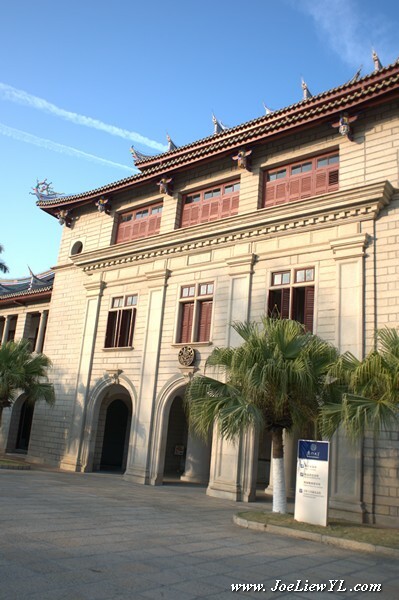 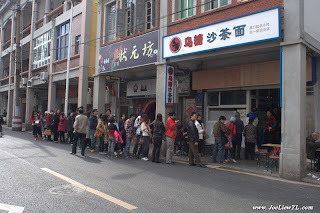 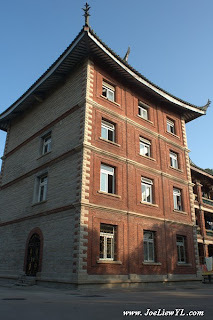 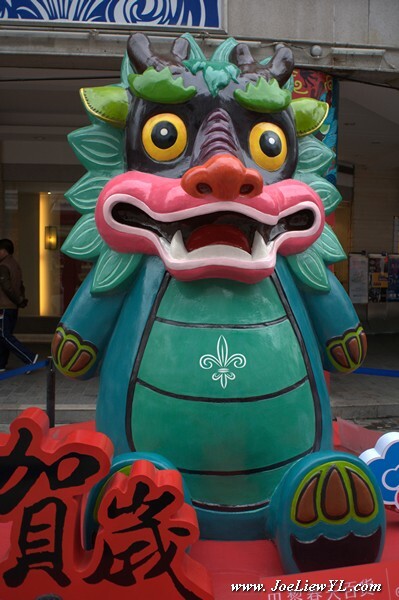 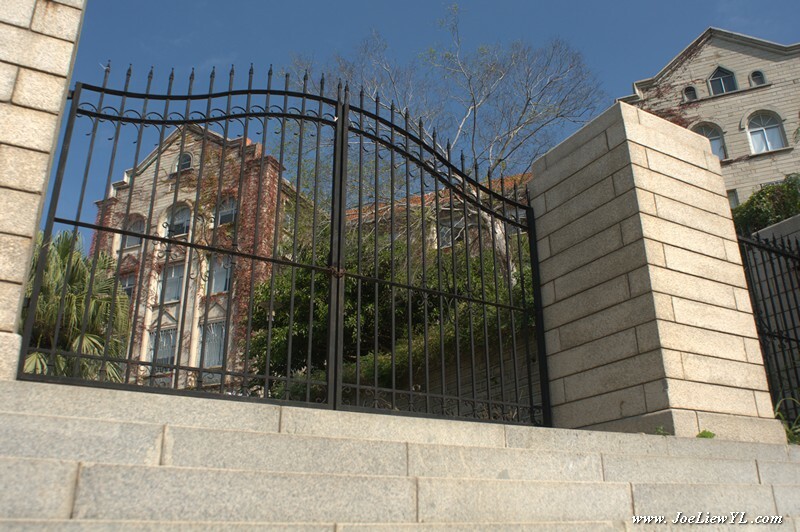 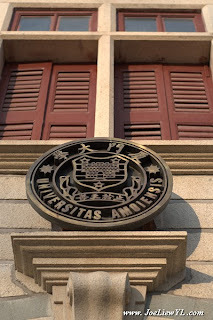 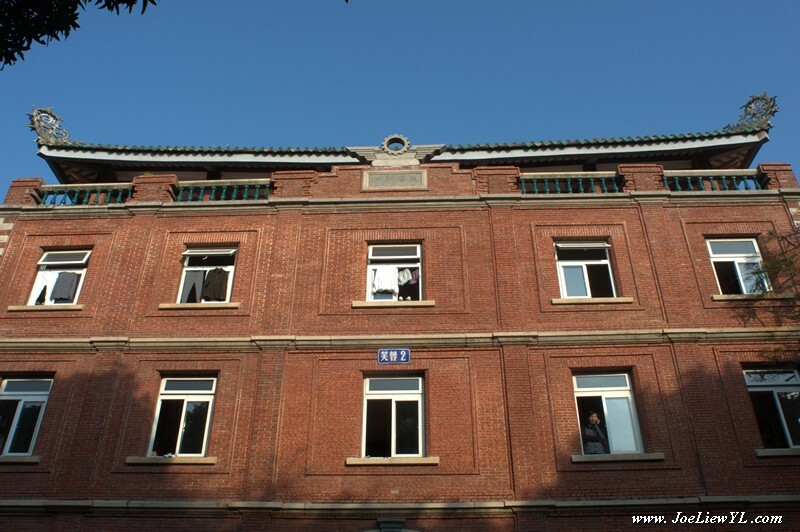 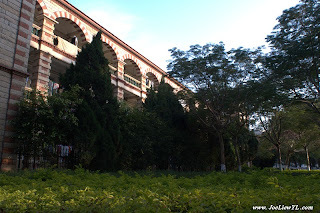 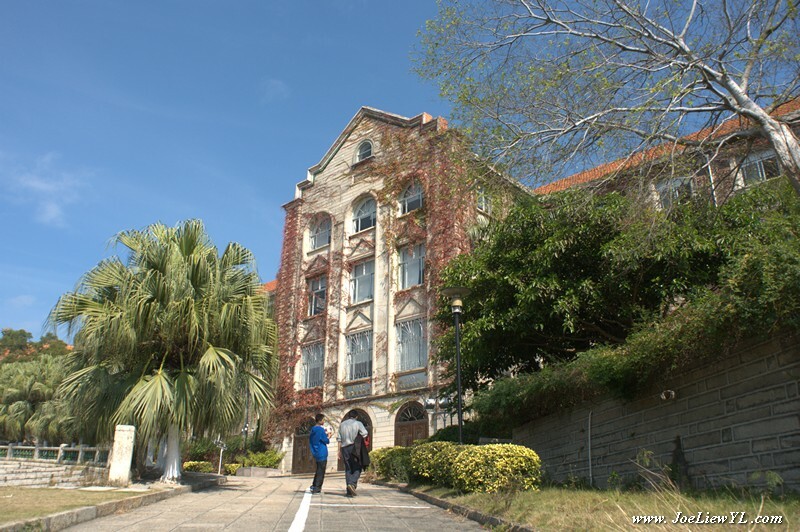 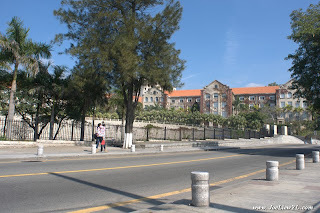 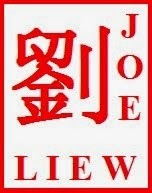 It is endowed with educational and cultural institutions supported by the overseas Chinese diaspora. 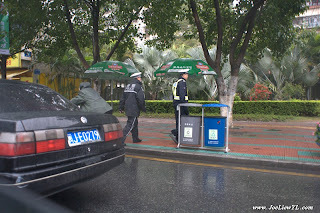 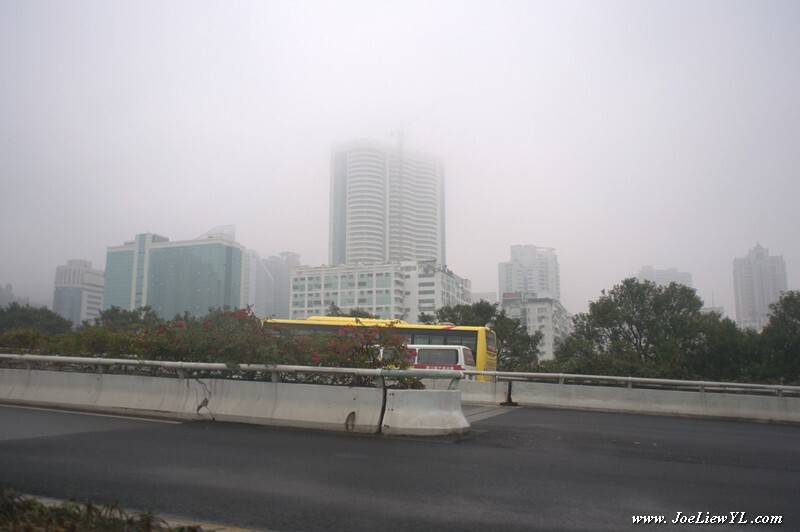 In 2006, Xiamen was ranked as China's second "Most Suitable City fo Living." 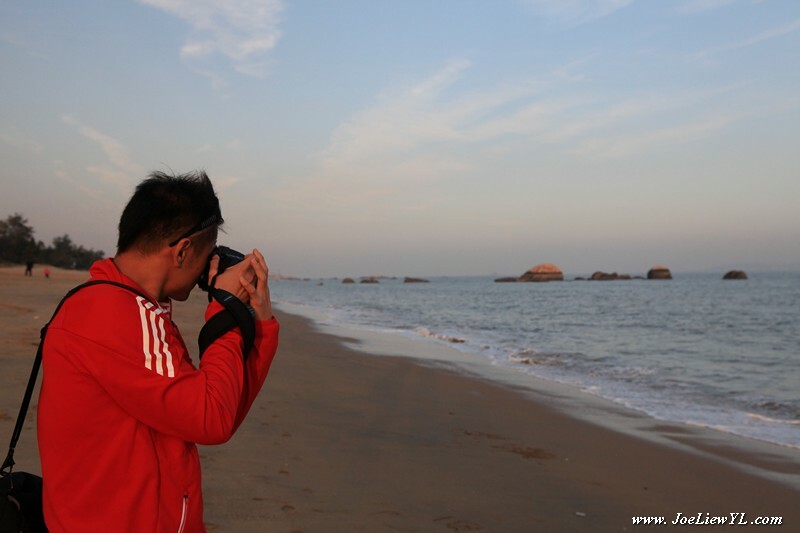 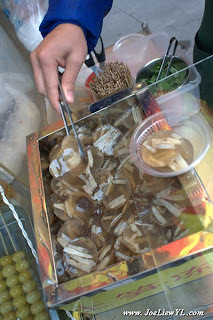 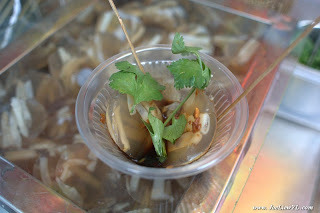 The places I visited and local delicacies I tasted during my visit in Xiamen will be best detailed by photos captured through my viewfinder. 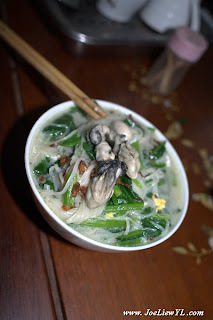 She was cooking the Oyster Rice Noodle for me. 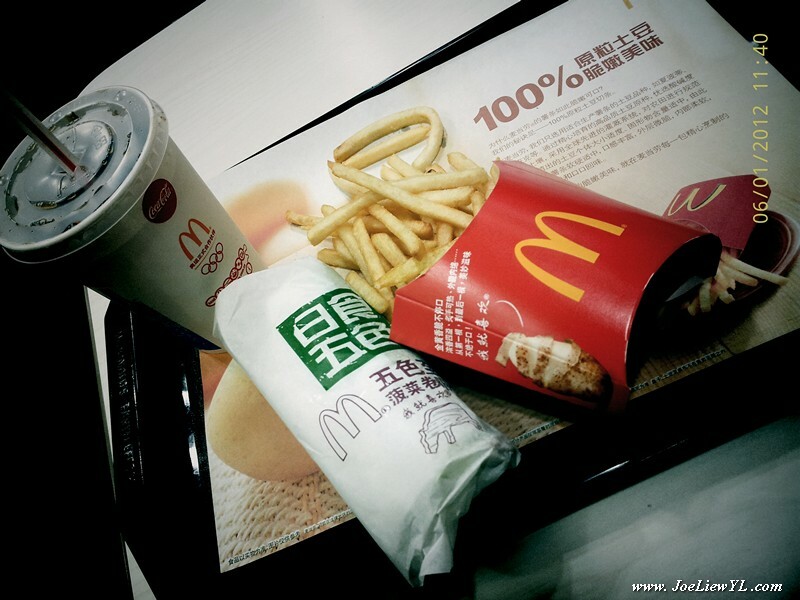 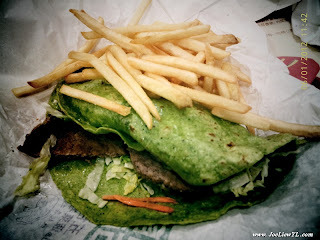 only if the menu is different. 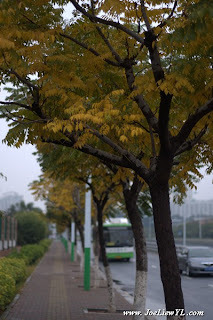 Temperature was 6 degrees the day before. 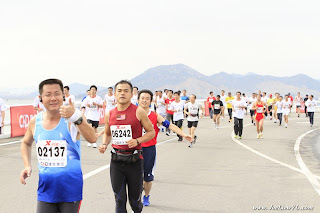 "New Record Set on the most Beautifull Race Track"
My gratitude and appreciations to my families who supports my Weight Lose & Marathon journey since I started back in Summer of 2010. Also to Chief's Original BootCamp (COBC) program that strengthen my fitness both physically and mentally in going the distance to in Reaching-Beyond-My-Limit. 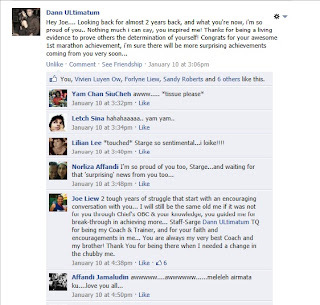 To my fellow Chief's Original BootCamp (COBC) Red-Tees trainers Staff-Sarge Dann, Sarge Nawal, Sarge Chun, Sarge Tom, Lance Corp/Corp Wan, Ody; Armin BP, Rose EP, Doc Malek & Farhanah. 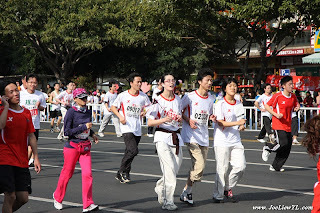 Thank You for pushing me until I nearly *FAINT* but not puke. 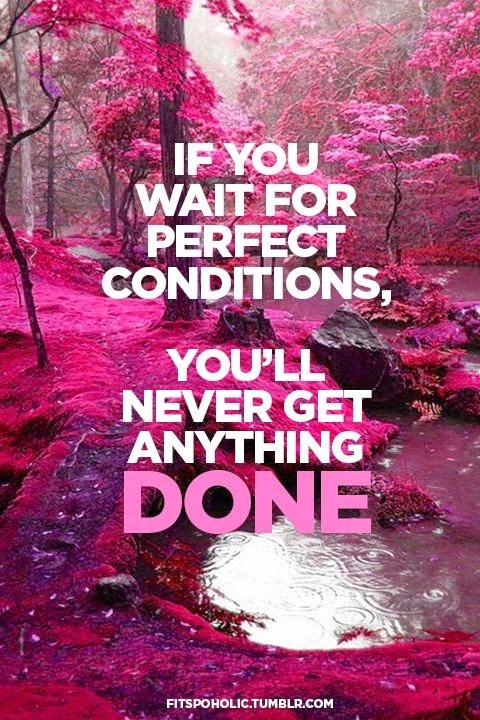 without your Coaching, Guidances & Encouragements." THANK YOU my brother at arm! 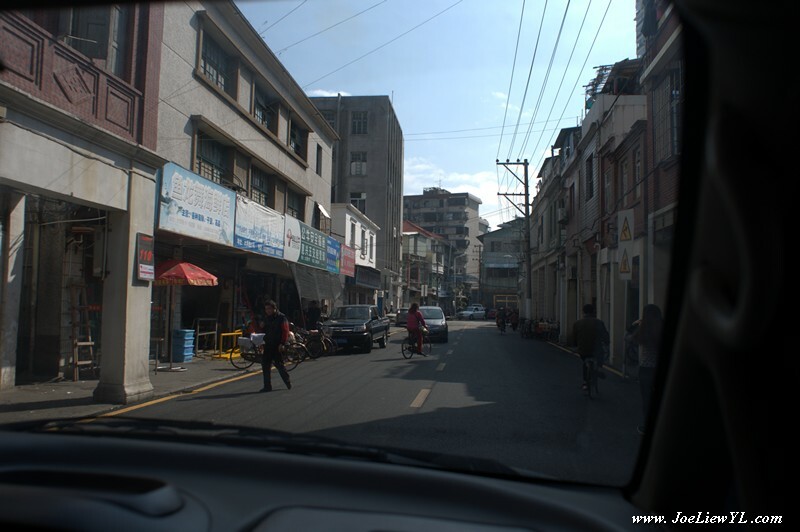 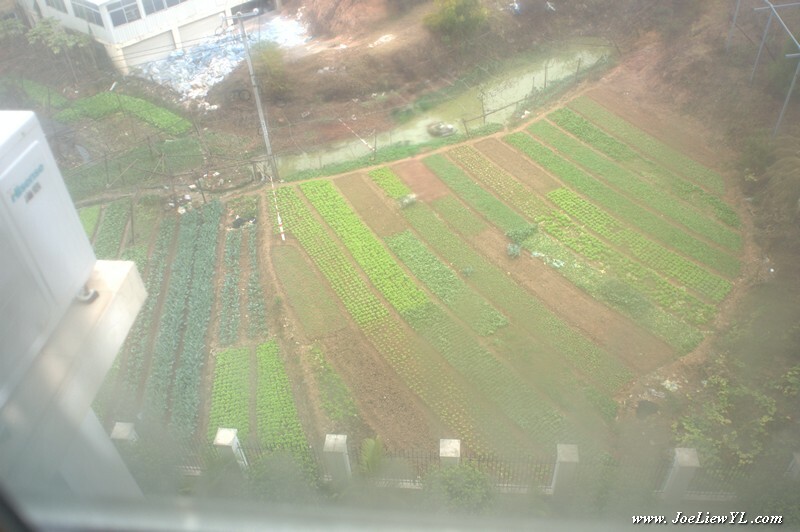 * Some photos are taken from my cab, angle & quality are taken as best as possible.